Atlas Shrugged was the biggest, most beautiful book and for ten years has been my standard. That's how long it took to write Advanced Racquetball, the sequel to my best selling Complete Book of Racquetball that promised, forty years ago, this sequel. It's 825 pages and covers every aspect of the game from sneaker to frontal lobes for Open to Pro players. It was a labor of love for 1000 hours in an Amazon sweat box cyber for 11 hours a day, seven days a week for the last three months, on top of a previous thousand or so hours writing earlier sections. There are over 400 photos including sequential strokes and serves. Personal interviews with 90% of the 30 most recent world champions. A full appendectomy. I decided to scuttle the title, and shrug like Atlas, due to the incompetence of the undeserving racquetball community. They are also a verbal rather than print page readers. My goal was accomplished in writing the book and listing it at Amazon.com. One other set of Miami eyes who has read the single copy in existence said, 'It's very good, but too long for the racquetball mentality.' I'll give the single copy, like Diogenes, to the first deserving player I meet. I withhold it from the public and if you want to know why read Atlas Shrugged. We can soon expect to hear the mumbo about how if January is down the market is likely to be down for the year et al. How many times does this have to fail before it loses its impact. Feel free to call this "mumbo" — but there are hundreds of millions, if not billions, of US stock market positions that will exit if the market closes today below the 1960-2000 level. I am not predicting today's close and the probability of falling 40+ spu points is always very low (hence betting on this outcome has lousy odds). However, I will predict with confidence that should these "stops" get triggered, you will be rubbing your eyes next week at the much lower prices you will see. What happened with the idea you championed back in December about the wisdom of the common man, that poured $36.5 billion into stock funds on Xmas week, marking the biggest inflows on record as U.S. stocks surged to record highs. Are those the positions that are looking to sell today? Enlighten us please. The "common man" will do just fine. It's the professionals who will be selling based on things such as this. Cambria global value ETF (GVAL) return since inception (3-12-2014 till 1-28-2015) is ~ -19%. You can verify that he would be bearish if the end of January value is 1959.125 or below. Weekly, at Blythe, CA High School through the 2000s, a frantic version of this blast over the school intercom for all to hear summoning me to put out another fire in the Severely Emotionally Disturbed classroom at the back of the campus between the 4-H pens of pigs, goats and cows and the broad irrigation canal. Fortunately, as in racquetball where I flung my cover onto the court and was ahead 3-0 before the first serve, my reputation preceded me into this classroom. Sometimes I think the students rioted to summon me, as prison inmates stage food fights to break routine. The kids brightened to reveal the bizarre reasons for their misbehavior that had caused their banishment to this awkward class. Their excuses were miserably true. Some were rising with the roosters at 5 am without breakfast to ride a bus for an hour from an outlying farm to the school, and arrived irritated. Or, their parents drank and hit them the night before. A couple were worried about being accosted after school, and showed secreted 10" drill bits slid into their book spines. One albino had unrecognized photophobia. Another was dyslexic. Another painted his fingernails purple and talked with a lisp for attention. These were the campus hard luck cases lumped into one classroom, their last chance before expulsion, and I was their last hope. When you have someone over a barrel like this, life is actually pretty easy. I dimmed the harsh fluorescent lights, and we did jumping jacks, sit-ups and pushups for twenty minutes. Then I turned down the thermostat to cool the room, a la public airplanes to calm the passengers. I opened the day's assignment from the permanent SED teacher, the gorgeous lady I'll call Ms. Libda, who often was away at business meetings, and so her duty fell on me. She was talented, caring, a former Navy medic, cop, and prison turnkey. After their work was done, and the adventure story reward, I wrote up a detailed report on what had taken place and the progress of each student in mirror writing. Mirror writing reads from right to left, and early on in my subbing career the principal had called me into his office to explain why many of the students, especially the athletes, were seen reading their texts upside down. He had a boxing picture of himself on the wall from his youth, and I threw a mock left hook at his jaw, while justifying that if he had read print flowing right-to-left then his eyes would be quicker to have caught the jab, as well as the next butterfly, car or ball. My after class reports to the Ms. Libda were a hit, and one day she addressed me, 'The students like you, and so do I. I see you as a male version of myself.' We commenced dating and she, in a mothering way, often slept in late after calling the school for a sub, so I could get a call on the same phone to report for work. The goals were met with success, the students stopped clawing wallpaper off the walls, were cordial to the visiting sheriff, no more suicide attempts, and the primary object to mainstream the students back into their ordinary classrooms. 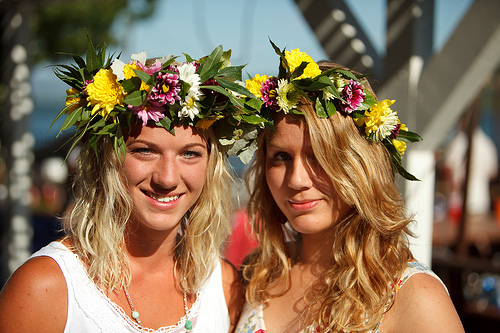 The most valuable lesson I imparted to my xenophobic students was on Small Town, America. 'That's normal as she goes in Small Town, America'. Their explanation for everything is, 'We been here a hundred years, and we been doing things this way a hundred years.' Hence the state motto, 'Be part of a group, take and give orders, obey.' The solution, students, is to proceed with patience through your youth, and then strike out to new horizons. 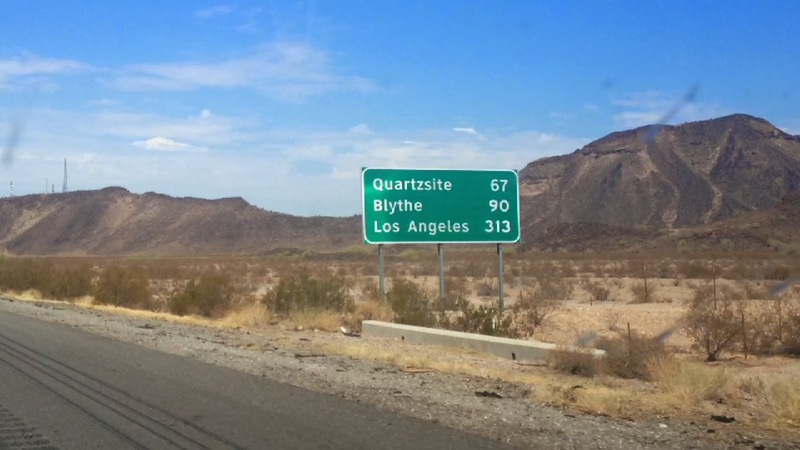 You can always take the beaten path back to Blythe. Ms. Libda finally took a job elsewhere, and I was hired by Riverside County to replace her full time. 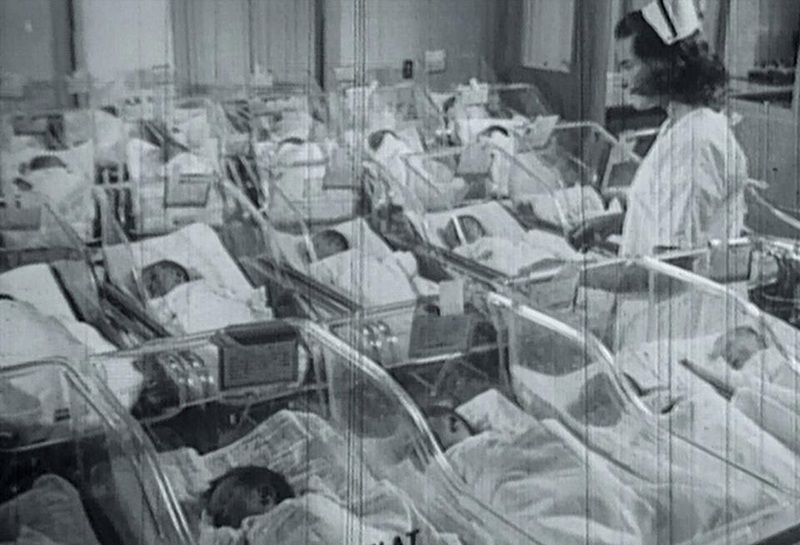 There was a huge boost in salary to $40,000 with full medical. I began anonymously donating 15% of my salary back to student lunches, good books, pupil doctor bills, and chessboards for the library. I had a great idea from One Flew Over the Cuckoo's Nest in which the patient McMurray masquerading as a psychiatrist takes the other patients on outings from the hospital. Securing permission from the principal, who was now my pal from the boxing lesson, I took the SED classes on educational outings to the city library, prison, bowling alley, and for nature walks along the irrigation ditch that blocked their graduation into the real world. In the coming months, my classroom door was revolving like a barroom on a Saturday night with new students arriving as soon as the former were mainstreamed. Soon the backlist ran out, and the class dwindled to three students. I laughed, cleaning the desk. I had worked myself out of a job! The lesson is don't be a square peg in a round hole without expecting consequence. Heed your inner calling, but be prepared to move on. I hit the trail to world adventure to have more stories to tell to a succeeding class. In Italy most of the reforms much applauded as usual by Merkel are just privatizations that the government Renzi will have to do. What is the best way to rob a nation of its jewelery? Answer: Indebt with money…printed (which costs nothing) and when the nation will be cooked to perfection and will no longer be able to pay back the interest, claim payment in assets. I thought that this practice was limited to Latin America, the hunting grounds of the IMF, (see Argentine rejection and consequent restructuring) but after Cyprus and Greece quickly realized the wind was blowing in EU, in the sky were a lot of vulture's license plates named IMF. Now it is the turn of Greece, after having sold the islands as well, on its last legs, it seems that "Greece is awake." The last example: it seems that the government was forced, due to the continued payment of maturing debt + interest, to privatize ROSCO, the company of Greek rail services. Who was presented to detect it? Siemens (Germany) and Alstom (France) + a Greek society (contour), 3 companies to carve a greek piece of PIIGS. And this is just one of countless stories happened to the detriment of Greece, supported by the Greek political parties that have just lost the election (rightly, and have sold the nation). Possible? Draghi continues to talk about the transfer of sovereignty… but to me it seems to be giving more. Our ancestors who died in the war to protect the nation would turn in their graves to see what is happening. 1. The key bellweather these days is the Dax. 2. The reason The Knicks won 3 in a row was that they got rid of Smith. He was the rotten egg that ruined the barrel. After losing 16 in a row they won 3 in a row. The market went down 5 in a row then up 4 in a row. The market learns from sports team. 3. Every situation in baseball and basketball including whether a fielder should have made a put out is captured on video and quantified these days. The book Mathletics by Wayne Winston uses regression analysis to find the value of each player and each play in the major American games. A better technique would be montecarlo simulation. Often Winston makes the part whole fallacy of fitting many variables to an outcome and then reporting an improvement from a naïve strategy. The pythagorean theorem gives good results in baseball, and basketball, and it could do the same in market. Use the ration amount gained in rises /divided by amount lost on losses to predict the % of wins. But there is the part whole fallacy in it. Naturally given the distribution of gains and losses, if you know how many points gained and losses there were, it's going to give you a great estimate by simulation of the games won, that will do much better than the squares of James et al. 4. I've given up on dealing with the big low priced broker as they now add a risk fee to the regular commissions, but it seems like a great stock to buy, as they leave no contingency unopened in order to make a profit at the expense of their clientele. Good bye to any thought of option trading also as I recently had a position with $1,000 of premium with a few days to expiration where the required margin was close to 1 big. The thought too smart by half comes to mind. 5. The main reason that stocks go up more than bonds and the explanation for the dimsonian 70,000 fold a century multiple you make is the power of compounding on a base of the return of capital. It has nothing to do with dividends. However, the differential between earnings price ratio and 10 year rates continues to rise, and that is extraordinarily bullish for stocks for much the same reason as above. 6. Reading Roman history, one sees the wisdom of Nock's idea that the only thing worth studying in history is the Roman and Greek history because everything happened there that will happen again. The prelude to the Crusades is particularly relevant today. 7. The Nasdaq refused to go down with every other equity down on Friday. 8. Gold is now playing footsie with the round of 1300 the same way it did with 1200 last year. But of course everyone was bearish last year so it went up a fast 100 bucks in 2015 proving the old adage that the things that go down the most in 1 year go up the most the next year. However, I stopped trading gold except in small quantities because one can only predict a day or so, and you can't get in or out of a position with poise when your numbers tell you to do so. 9. The Asian markets amazingly go down even more on each meaningless survey than the US or European markets. Of what significance is it that the growth rate in China forecast is lower by 0.1 % from time to time from 7.6% to 7.5 %. 10. One should never forget that once the Fed changes a qualitative rate, the average run in the same direction is 10 or 12 further changes, i.e. a run of 10 in the same direction. 11. I can never read a text on chemistry or physics without getting a million ideas as to how their foundations and findings and experiments provide vast insights into our field. 12. How much does supply have to go down in the oil industry for oil to start moving up again. On 10. The upcoming FED rate hikes: yes, historically, it has been observed that once official hikes or cuts got rolling, they wouldn't stop for that many counts to come. And of course, it is VERY advisable to position yourself in advance for another re-run of the scenario. Curiously, that's exactly where the profit will be made: on an anticipatory position. Because once the first hike occurs, I'm not at all sure that history will play an infallible guide this time around. Why? Because what we've had in the current cycle with ZIRP was unprecedented, and thus this time may be different: after a hike or two and a market upheaval, the FED may reverse back to manipulation. I would urge all the electronics experts on this site, old and new, to treat the market as an electric circuit with the inputs tied to an op amp with a negative multiplier attenuated—ultimately with histeresis. 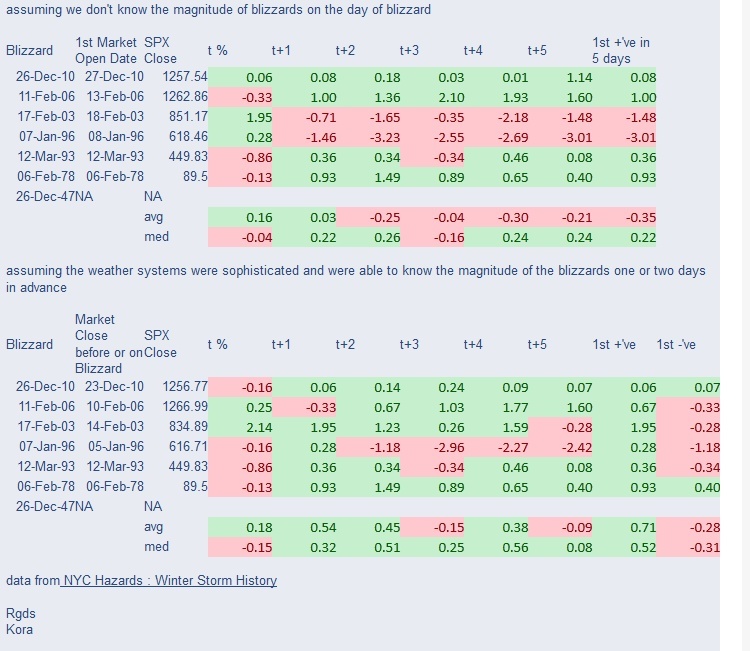 Almost all the market moves can be quantified with an output statistically significantly related to the inputs. It's much better than looking at technical indicators which are mumbo. At least this is something you know about and can test. Interesting…Is this the type of circuit you're suggesting to take a gander at? Yes. The circuit can be connected to all sorts of components. An input could be the open. It's a start. 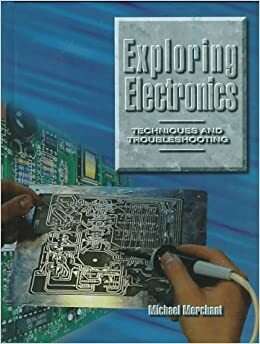 A good book with all sorts of op amp circuits is Exploring Electronics by Michael Merchant and many paths and outputs seem market related. Here is something good about Op Amp basics you can read online. Please join us at the Junto on Thursday, Feb. 5, 2015. Ben Powell's Out of Poverty examines today's textile factories in the developing world and their role as a pathway out of poverty. Migrants from rural villages only gradually acquire skills valuable in modern factories. But as poor people learn how to work with textile and other light industry machinery, their earning power and wages rise. Critics of sweatshops wish there was a better, faster way, wish wages and working conditions could be better faster.Ben Powell is a critic of sweatshop critics, and he examines the many claimed shortcuts to prosperity that wishful thinkers say should be adopted (and mandated if not adopted voluntarily). These alleged shortcuts turn out to cause long delays. Ideally, the unskilled of the developing world could migrate to better-paying jobs. And ideally machinery and infrastructure could more quickly "migrate" to developing countries. Sweatshops are a compromise in today's imperfect world that lacks the freedom of movement and investment taken for granted in the decades before World War I. How do we test whether we are not over-fitting the data (something else than in-sample/out-of-sample method wasting a lot of data). I can see using Bailey's paper "The Probability of Backtest Overfitting". Any other preferred methods? Seems like a good idea, and so I bought some GREK at 10.71 this morning. I wrote to the professor to ask if the model that called for the buy on Greek stocks is publicly available. Haven't heard back yet. I became a Shiller skeptic after reading an article of his that had what I think was a serious statistical error. His thesis was that market valuations fluctuate "too much". To prove it, he compared each year's valuation with the then present value of the forward earnings, known retrospectively over the following 50 or so years–I'll call that number the "retrospectively known present value" or "RKPV". Sure enough, he found that market valuations fluctuated much more than the RKPVs. He correctly pointed out that if a predictor (the market valuation) has a bigger variance than what's predicted (the RKPV), then the predictor clearly has room for improvement. The problem though is that he only had on the order of 100 years of data to work with. Since each RKPV involved about 50 years, he effectively had a non-overlapping sample size of around 2 — so small as to be meaningless. In 1932, people thought the RKPV would be very low. It turns out that they were wrong. But if we had 1000 years of data to play with, it might turn out that the next "1932" event will indeed be followed by a super-low RKPV, perhaps even lower than the market's valuation. So we don't know enough to conclude that the market is irrational. The Chair has pointed out that Shiller made a similar mistake in his "CAPE" analysis. He'd have roughly 100 years of data, which sounds good, but his CAPE predictor looked back 10 years and predicted forward 10 years, so the non-overlapping sample size, again, was only around 10. Shiller would claim the CAPE was good at predicting the 10-year forward return, The Chair, however, did a little snooping and showed that it was in fact bad at predicting the forward 1-year return, getting the sign wrong even. It's kind of implausible to claim that one has a predictor for the year 2024 return, but it can say nothing about 2015. So that further suggests the CAPE results are an artifact of small sample size. It's possible I've missed something, but these seem like novice errors. It made me suspect that it's a little easier to get the Nobel Prize in Economics than in Physics or Chemistry or Biomedical Sciences. 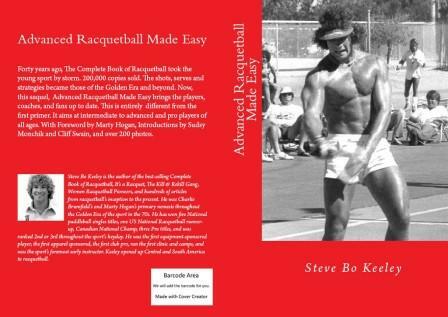 The book Power Raquetball was written poolside at my Steamboat Springs racquetball camp, the first camp of that sport in history. Champions Marty Hogan, Charlie Brumfield, and author Art Shay came in. One day we sat poolside and Hogan demonstrated his strokes with a swim fin while Brumfield ran a commentary on Marty's power strokes and strategies, and I watched. 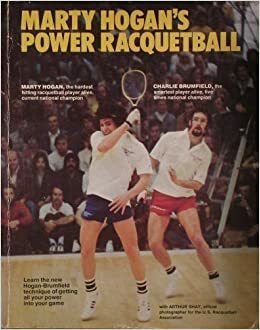 Art Shay transcribed it into the book that was called Power Racquetball that changed the sport across the country forever. 1. 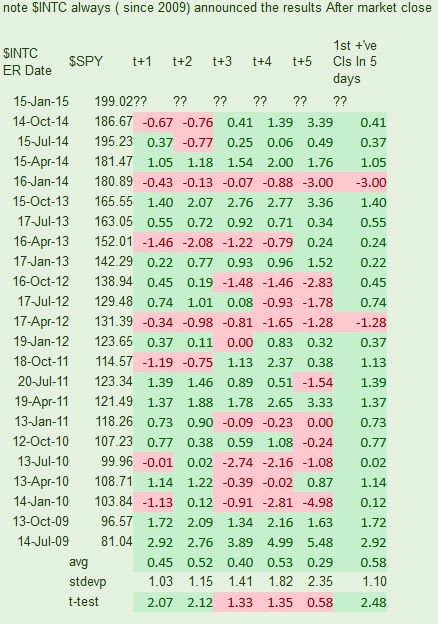 Average returns on equities are, to pick a number at random, 7%. But if business was untaxed that might become 10% and if sales taxes disappeared and fell to the bottom line, that might become 14%. Over fifty years, the difference reinvested would be over 20x more capital and we could all take things easy. 2. The British government likes to take "payments on account" from its non-PAYE taxpayers, thus taking prepayments on tax due before the year end. With a 2% cost of capital and vast working capital resources, this seems somewhat ungracious behaviour. Unless perhaps it has been noted by the government that most small businesses fail under a vast burden of taxes, domestic and European regulations, import and export duties, etc. and like a retail forex broker who well knows all his Ma & Pa clients will eventually liquidate under monstrous vig, in all cases novates client collateral as early as possible. 3. It has been noted that a handful of rich people control as much wealth as billions of poor do. But most of the world's poorest people have no savings at all, and thus if you summate a partial set with its values chosen to be very close to zero and compare it to another set who's numbers are not, you will obviously see a large inequality. You could just as validly say that a regular US citizen with $1,000 of savings has a thousand times as much wealth as someone in the Congo who is down to his last dollar, and present this too as being fetid and greedy. 4. "The 1%'s" per capita wealth is calculated as a capitalised mean sum, with the average net worth of "the 1%" in the US being around $15-20m. But every hundredth person you meet does not have a balance sheet close to that, as the mean and median are very different. Thus the media creates a perception of "the 1%'s" situation that is totally unrelated to reality. 5. It is a great shame that there are so many poor in the world. But what have the free markets wrought in this respect? By the power law of the distribution of wealth, just Bill Gates' and Warren Buffett's wealth alone must represent a significant percentage of "the 1%s" stash. It so happens that these two individuals have donated, or earmarked for the future, close to 100% of their accrued savings to philanthropic causes. Bill Gates is one of the most accomplished businessmen on the planet and he has thrown his labour, intellect and organisational skills in for free. In contrast, had they been taxed to the utmost on the way, might it be reasonable to expect that their funds would have dissipated across a variety of government departments of dubious efficiency? 7. Indeed, if "the 1%" control around $20tr of the USA's $60tr of wealth, and Buffett and Gates are packing $150bn between them, that's already 0.75% of the dough being hotly debated that is in fact earmarked for charitable purposes. 8. If one continued this calculation all the way down the wealth tree, excluding capital that's either pledged for philanthropic purposes or being reinvested in fixed capital in order to create better living standards for the population (something consistently hidden in the hedonic adaptation of inflation statistics), what percentage of their wealth do the megarich actually consume? 9. Are the megarich not in fact spending most of their lives competing for their table ranking on the Forbes.com website, each download of which is worth about 0.001 cents? Should we not be grateful for this self-deception on their and their no-doubt heavily plastic-surgeried wives and girlfriends behalves? 10. These notes may or may not have been sponsored by the Koch Brothers. There seem to be at least two aspects to the "growing wealth disparity": (a) To what degree the "elite" controls new wealth creation through illicit/illegal/immoral means (b) To what degree the highly intelligent/educated/those of "proper" disposition are able to earn more than the rest simply because they are better suited to thrive in today's economy. Usually, the vast majority of those who talk about this subject of the "growing inequality" have an agenda to capitalize on wealth redistribution rhetoric and want to attribute wealth inequality to the simple existence of capitalism, and have no intention to solve "the problem" nor even care about it otherwise. Well, everything is going to hell. 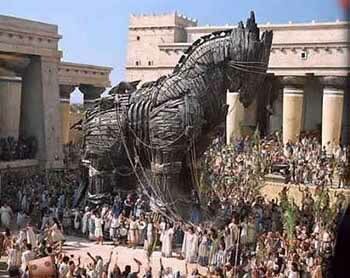 Russia is still a problem, Greece seems to be turning into a trojan horse, the European QE, if confirmed by the data, will be fuel to the fire otherwise wasted money. The real QE for Europe would be fiscal union, it is not clear which masochism perverse wants to continue to kick the can despite all that is happening. They are destroying, structurally and industrially, European nations. I think the Euro should yield against the $ next 2/3 months if will follow positive data, so I expect what happened from 15gen (hammer on European indices). Otherwise the $ will continue to parity, EUR$ 0.80/0.75 worst case. I think that pears are ripe in the US, so maybe sell the tops and put into treasury waiting for the second part of the year when better occasions are a possibility. Oil will rise in second part of 2015 (if not before). I think Macro decision are faster than fact, but there is nothing worse than to inject money in an economy unable to recover because it was managed by opportunistic nations (politician/bureaucrats) not willing to cooperate. Structurally, the QE will not have any improvement. It makes no sense to do austerity while the EU industrial system collapses and then six years later, they realized the error, try to revive the fortunes of the economy printing. The system to indebt nations and then manage them better, so loved by the IMF, seems to have become ingrained in Europe. My grandmother used to say, it was better when it was worse, and we were unaware of that, but she was right. I recently stumbled across the work of Peter Turchin, an evolutionary biologist, who is attempting to applying quantifiable scientific techniques to the study of history as part of a field known as cliodynamics. The past does not repeat itself, but it rhymes," Mark Twain once said, a reference to the patterns of history, perceived anecdotally. Today, a new field is coalescing around the notion that historical patterns are, to some degree, measurable, and that the future can, also to some degree, be predicted. Researchers involved in the field call it "cliodynamics" after Clio, the Greek muse of history. 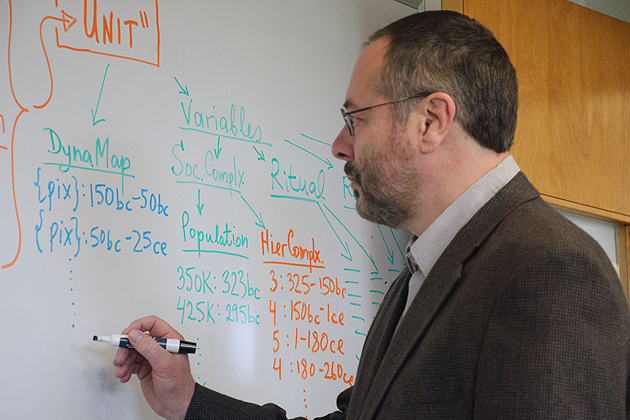 Scholars of human history traditionally have studied the past as a chain of idiosyncratic events, with each event a unique response to unique circumstances, says SFI External Professor David Krakauer. Historical fields such as paleontology have relied on collections of evidence—fossils, for example—to draw inferences about the past. A few fields have made strides in approaching history as a science. In archaeology, for example, rigorous field survey methods have provided new, quantifiable information about the location, distribution, frequency, and organization of certain human activities. In population genetics, evolutionary outcomes are modeled as probabilities. Cliodynamicists would like to see the historical fields sharing methods among themselves and adopting approaches and theories from physics and other long-quantified fields. The tools of complexity science are now beginning to make the task tractable, Krakauer says. Mathematical and computational techniques such as agent-based models, power-law relations, and more classical differential-equation models are in several fields helping scientists develop new theoretical frameworks, for example. Although he did not perhaps agree with how reductionistic cliodynamics seems at first glance, I can't help but see echoes of Giovanni Battista Vico's New Science in this effort. I have to give credit for the sheer audacity of this pipedream. Turchin has published a book called Secular Cycles related to this topic and also maintains a website. I started to wade through his paper on analyzing the "Dynamics of political instability in the United States, 1780–2010" also. It's not without flaws, but is worth a look. The whole field may end up doomed to failure and hopefully won't become another dismal science, but I thought it was worth a look, and was wondering if any other specs are familiar with it. If nothing else, it might cross pollinate with some ideas for trading. This sounds VERY much like the premise behind Isaac Asimov's Foundation Series, the books that got me hooked on his work and Sci-Fi in general. Living in N.J. and PA, I encountered 2 heavy snowfalls in my lifetime both at least 24 inches. The snowfall of Dec. 26, '47 was memorable for I remember as a 15 yr. old trudging through the snow almost at crotch height that evening to the candy store, 2 blocks away at around 7 PM. It was already dark but the streetlights reflecting off the snow created an eerie glow. I wanted to watch a heavily publicized tennis match from Madison Garden between Jack Kramer, the wunderkind amateur tennis champion, Wimbledon Champion, Davis Cup Capt. and winner, and Bobby Riggs the professional champ. It was the first match between them at the beginning of a nationwide tour. With all the publicity Kramer received, I thought he was going to whop Riggs. Riggs won. I learned don't bet against a champ. Because of all the snow, I thought that Madison Sq. Garden would be empty, but it had a decent crowd. Why did I go to the candy store to watch tv ? It was 1947 and that was the only tv set in the neighborhood. Kramer eventually won the tour by changing his strategy, rushing to the net after serve. Kramer became the dominant player for the next ten years, and Riggs became a colorful hustler. The CME and the CFTC are doing a great job at destroying the market ecology by exterminating the 'spoofers' out of the futures markets. This clever species helps maintain the equilibrium of order flow by gaming liquidity asymmetries and thus keeping the population of naive momentum front-running strategies in check. It reminds me of the extinction and later reintroduction of the wolves in Yellowstone. I can't see how spoofers are bad for anyone but the momentum front runners, as you suggest. There must be a "god given" right to jump in front of slower moving participants that we are not aware of. I'd love to know how the spoofing practice developed. My guess is it started as a counter-strategy to neutralize front-running before it became a source of profit? And "they" destroyed limit orders when they busted the trades during the flash crash. I guess front-running is the only virtuous and god-favoured strategy? Vinh, I think the case with the limit orders is simply adaptation forced by the hft boys techniques. They have raised everybody's game. What do ppl gain by advertising their intention in the order book?. What it's remarkable, is how long it took for other participants to start randomizing, splitting and using hidden orders in a more widespread fashion. But to your point, yes, speed is expensive and 'they' try to recover those costs. "Front-running is profitable against traditional orders entered by humans. But with spoofers in the mix, the picture looks quite different: When the front-running HFT algorithm jumps ahead of a spoof order, the front-runner gets fooled and loses money. The HFT's front-running algorithm can't easily distinguish between legitimate orders and spoofs. Suddenly the front-runner faces real market risk and makes the rational choice to do less front-running. In short, spoofing poses the risk of making front-running unprofitable. Because spoofing is only profitable if front-running exists, allowing both would ensure that neither is widespread." The basic ideas are very similar to Hernan's market ecology post. Here are my results. Stay safe everyone! The use of today's minimum wage to estimate the cost is a bit hokey, but 480 hours of labour for one shirt is interesting: about 10-15% of one person's productive output for the year (and ignoring unrefined goods input and capital costs, taxes not really existing back then). "The $3500 Shirt - A History Lesson in Economics"
So, 7 hours for sewing, 72 for weaving, 400 for spinning, or 479 hours total to make one shirt. At minimum wage - $7.25 an hour - that shirt would cost $3,472.75. Ms. Fisher's narrative is horribly Eurocentric. A third of Europe died from the plague– if one accepts the usual figure which has the problem of being almost entirely an educated guess; but there was no comparable mass epidemic in Asia and the Americas. For the Chinese of the Song dynasty it was all good news. Of course things are better today, but people have the odd habit of measuring their lives against what their sense of envy tells them about what other people of their time have. So, the Song developed paper currency and QE and things got worse. It's unlikely that many have heard of the Ten Thousand Commandments. It's the title of an annual report which measures Congressional legislative progress and then contrasts its record with that of the "rules and regs" initiated by a host of federal agencies in the same period. The most recent report reveals that Congress managed to enact 72 pieces of legislation. Federal agencies, chief among them the Departments of the Treasury, Commerce, Interior, Health and Human Services, Transportation, and the Environmental Protection Agency pumped through 3,659 new rules. The annual "rules and regs" price tag? $1,863 trillion - to put that amount in perspective, the Feds annual "take" from individual taxpayers was $1.234 trillion. In addition to the enacted rules and regs, there are an additional 2,500 "proposed" regs awaiting a final go-ahead. There are also over 24,000 "public notices" regarding many of our daily concerns. Among these are issues of health care, education, energy production, finance, land and resource management, etc. 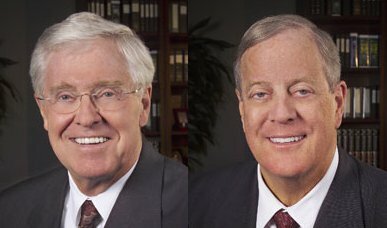 It's imperative to understand that agency rules and regs are legally binding decisions which are written and implemented by groups of nameless, faceless, and unelected individuals — many of whom, like members of Congress, have agendas of their own, but unlike members of Congress, are unanswerable to the American public. What are the alternatives to stocks in a deflationary environment? "Saudi King's Death Brings Visits by Obama, Cameron, Erdogan"
The one thing that the ministers told Carlos was that the Saudi Ambassador must not be harmed as the country was the Lynchpin of everything. The visit by Obama and the avoidance of the French by the US provides evidence 25 years later of the wisdom of Carlos. It's during bizzards moreso than other storms that people suffer severe injuries. Orthopedic surgeons are usually quite busy after historic storms. Whether this one will meet the forecast remains to be seen. When I was on call at Shock-Trauma during the 1983 blizzard, we a sustained of blizzard condition—whiteout and wind. Some fellow in Frederick County (I was in Baltimore City) decided it would be a great time to take his snowmobile out for a romp through the storm. He missed seeing the tree that his snowmobile took on and lost—and he suffered multiple system injuries—lacerated liver (it was half off the vena cava, and the surgeons were amazed he survived the helicopter trip), broken pelvis, broken femur, collapsed lung, brain hemorrhage, skull fracture, broken cheek and eye socket, 4 or 5 broken ribs, a broken knee cap, a broken wrist, a bunch of broken toes. and bilateral dislocated shoulders, not to mention extensive bruising. he received something like 25 or 30 units of blood. It was pretty bad. He walked out of the hospital 6 weeks later. Blizzards are dangerous. They're not just big storms. 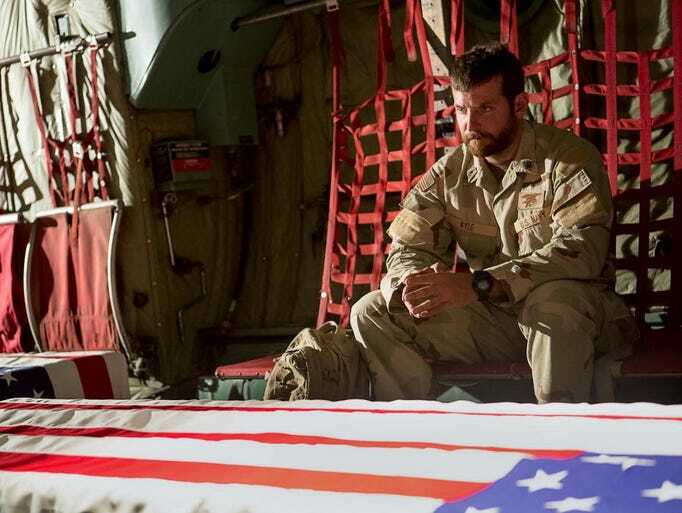 AMERICAN SNIPER and THE HURT LOCKER aside, it's relatively rare for a film today to exude l'air de macho accomplished. John Wayne bought the farm a while back. Van Damme and company are on hiatus. Liam is being re-TAKEN and re-re-TAKEN. But BLACK SEA comes close to being a tough-minded, suspense-driven masculine welcome basket to movie goers hungry for actors, not CG effects. For tough-minded scripting, withut PC rubbish leavening the text for the delicate micro-aggression-oriented. "Black Sea" is that movie. 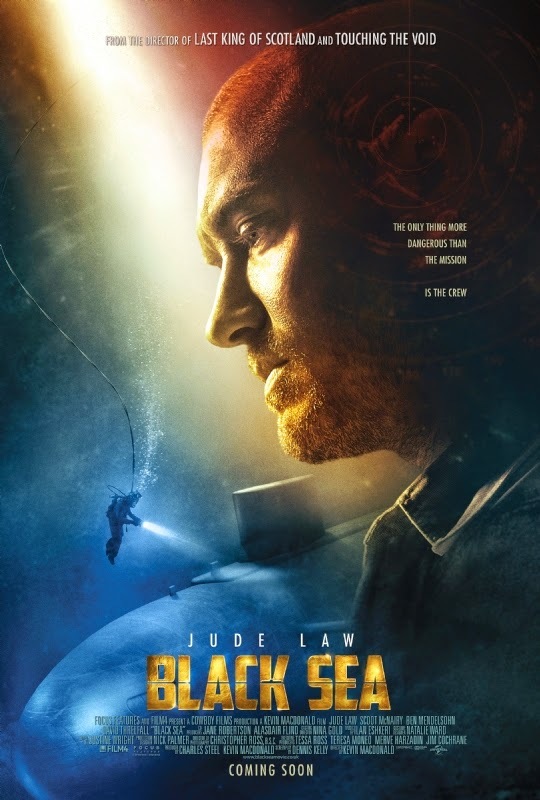 Directed by Kevin Macdonald, the story starts in the dismissal of Robinson, a vet submarine captain, played by a terrific, corpus-hardened Jude Law, who walks with the bowlegs and slight caveman predisposition of a long-time swabbie. Sailors on land look always slightly untrusting of the ground beneath them, and manifest a wide stance in case the terra become not-so-firma under them. He's being excessed by a maritime salvage company that is dry-eyed about its seamen, and not given to watches and lifted-pinky farewell parties. Some 70 years ago, a German U-boat laden with $40 million or so in gold was lost somewhere in the Black Sea. Recovering it is a scheme Law and his close mates come up with to generate money after they've been cashiered without much of a envelope. Don't let the door hit you on the way out. Outfitting the old sub they are given by a go-between, Daniels (Scoot McNairy) to accomplish the recovery of the gold bars means hiring a roughneck crew: half Russians, half Brits. Much of the dialogue is in untranslated Russian, but when there are subtitles from the swarthy, often taciturn Russkies, they are mouthing wisecracking or typically no-bull grit the audience laughs with, though the British naveys have no idea about. The movie might well gain if they were to subtitle the British dialogues, since they are fast, guttural and often below the obvious comprehensible threshold. The opening credits feature a montage of Stalin, WWII at sea with Germans and Russians in grainy perspective, and on land, with a wash of blood drenching the screens top to bottom. These B/W and aged-brown photos and footage set the scene for the coming hours of risky scrimmage against Russian fleets, inter-ethnic and internecine pile-ons, ever-present perils of being leagues deep in a Sargasso of oceanic dangers and unpredictable fails. And a stunning betrayal even the savviest could not swallow. Robinson/Law runs the Russian diesel sub, grizzled and believable. There is a young guy, 18, Tobin (Bobby Schofield) who's a last-minute hire, aboard for lack of one of the experienced submariners, and he both grows with the part, learning the baffling wheels and pressure gauges mostly from the Russian orders, grunts and directional hand-language—as well as from the fatherly interest taken by Law in him. It is a humanizing affection that–each time it is exhibited in the midst of crises of increasing severity—makes you aware of the subtlety of Law's work—often, such men have scant room for affectionate care of anyone, let alone newbies they are stuck with in battle conditions. The Russians, superstitious and tough, call the young man dragooned into being their 12th, derisively, The Virgin. Men of the sea don't think it propitious to travel with a virgin. (In our experience amain, sailors and such high-risk adventurers do not take kindly to women traveling with them in any capacity, either—even disguised as so-so effeminate men, with breasts squooshed.) We see Robinson's gauzy flashbacks to his once-happy family, gone consequent to his career choice. In such circumstances, there is usually a split unequal in the divisions of the eventual haul, should they manage to find the sunken sub and extract the gold. But Law's skipper knows the men are all working equally hard, all under equal risk, and he rules the gold is to be divided equally among all the men, leading to no small squalls of rage, envy, grumbling and dissatisfaction. The cinematography is fine, managing to convey the claustrophobic and ancientness of the craft, but capturing the man to man to man interactions in life and death encounters. Viewers are gripped with each hair-trigger decision and crisis. The story, taut as it is, is something of a relief, coming at a time of Angelina Jolie's harrowing but true UNBROKEN, Hawking's crippled presence in THE THEORY OF EVERYTHING, and Turing cerebral, aristocratic IMITATION GAME. It's about the recovery of millions of dollars' worth of undiscovered gold, not existential catastrophe and civilizational doom. It's a man's movie, a relieving movie, like a trou Normand—it clears the too-brutal menu of realia from the average filmgoer's palate. It is a tense, manly engagement, revealing how men on their uppers handle cooperation, fear, competition for top dog, and … prime in such cases, greed. It is interesting to see that the US is about the only market down this year to date, down about 1% with all Asian and European markts up about 5% with a s.d. of 3%. Naturally there was unaminous agreement that the US market would be best this year. Why do markets naturally gravitate to a state where things that are good are considered bad and vice versa. The idea that deflation is bad is a horse from that garage. When deflation and prices goes down that means that the stock of wealth is increased in real terms. That's good. How have we been cowed into thinking that when our real wealth goes down, that's bad, and we should encourage our central banks and governments to create inflation. The Chair of course knows the answer to his own question. Deflation is good for savers and bad for debtors. There are more debtors than savers. Inflation helps debtors by devaluating their claims. Governments, for example, the Swiss and the Luxembourgers, are the biggest issuers of IOUs. Why, the Dutch mathematician asked, "do government clerks and bailiffs become rich, yet leave their offices in great debt and financial chaos?". 1. The banks have an interest in inflation. They get zero percent loans and invest in things that pay interest. 2. Everyone is obsessed with GDP numbers and deflation can make GDP look "worse". There has been little to no research into GDP and how it's calculated in the last 50 years and people take it for gospel that GDP going up is good, GDP going down is bad. They are having trouble however explaining why GDP has been up but the average person's financial picture hasn't really improved in 20 years. They also can't explain they GDP in southern europe is flat to down, but the average person is vastly worse off. The answer lies in the two things going together. Deflation is the cure to the world's economic problems. In order to prevent the cure the government and central banks have enacted policies that make the GDP number look ok, or stable, but it isn't doing anything for the average person. Incidentally, this is also the cause for the "wealth disparity" issue. Finance-based (collateral) deflation and technological progress based deflation are not the same thing, exactly. The fact that we can buy a computer cheaper this year does not cause banks to fail or a contraction in the money supply/ability to pay interest. I have just read Mathletics by Wayne Winston and Mathletics by John Barrow. Both are great books, with many techniques and applications to markets. The Winston book uses regression analysis to find the value of different plays and players in baseball, football, basketball, and gambling. It also uses game theory and simulation. It tries to teach you how to replicate the results with excel. The Barrow book uses probability theory and physics to show you how to improve and analyze any sport including diving, kayaking, high jumping, running soccer. It's ingenuity is overwhelming. Considering the level of analysis and ingenuity and attention to detail in these books, our own field looks very tired and ossified. Highly recommended both. Something today reminded me of a mentor (English teacher, older guy retired a few years later) that I had in high school. One of the key things he told me was, "Never get serious with a girl whose mother you would not want to have relations with, if given the chance". I think more than a few times that thought flashed before my eyes and it saved me from serious error, partly because it was memorable. I'm trying to think of any similar rules of thumb that might help us to avoid those trades or strategies that can severely set back profits, create anguish, and otherwise make things worse than they should be. Any ideas? "Never get serious with a girl whose mother you would not want to have relations with, if given the chance"– I thought that was only my words! There can be many similar things for trading. Here are some for critique. 1. If you don't like someone's way of life, don't trade like him. 2. If you don't like the dominant players of a market, don't trade that market. 3. If you don't like the rule makers of a market, don't trade that market. 4. (I learned this one from Scott Brooks) If there is already a professional at the table, go somewhere else. 5. If you don't like a country's tax code, don't trade in that country. 6. If a market hasn't shown a lot of opportunities in the past, don't trade that market. This is a very good business lesson from Frank Zappa. I always thought dogs were angels too, and trained hard many years in veterinary school to heal them. However, certain dogs in certain countries, depending on the people that influence them, in one month turn from angels to snarling demons. I learned a lot in the past seven months fighting about eight dog packs of 5-10 animals each by being surrounded by them all snapping within four feet – front, back, and either side. The best thing to do is to back into a corner. Otherwise the fastest alpha will sprint around and try to hamstring you by biting in the rear. It's impossible to watch 360 degrees, so if one is encircled without any plan or mental rehearsal, blood is sure to flow. Yours. It's exactly the same technique I watched on a National Geographic film of packs of 6-10 wolves each taking down caribou, deer, elk or even bison in Alaska. Unless the prey can outrun the predators (not me any more), or back into a corner so there is no real side or rear attack, or grab a weapon, then one is at the mercy of the canines. This never happened to me, though I was bitten biweekly by the Peru Amazon street dogs in various haunts where I walk. The two primary fighting techniques were to pick out the alpha (usually the biggest male), and charge it ignoring the attempted nips from the rest. Once you kick the alpha in the teeth and he whines, the rest retreat. In the common case of the fastest dog running around end to get behind you, I always turn and immediately chase it trying to kick it. You need to get to it fast because as you turn to face it the rest of the pack rushes your heels. That dog is the fastest, usually the bravest, and once it zips off the rest will follow its lead away from your body. Once I got these strategies down, I actually looked forward to the afternoon or night workouts of fighting off the packs after a long stint at the 'office', and it was restful before going to bed. Sad to say for a veterinarian, I resorted to psychological warfare to turn the tide to keep from going psychologically rabid myself. I knew the dog alpha of each of the eight packs in a blink at a block's distance; it was usually the biggest male, but nearly as often the stupidest which is to say most fearless, like pit bulls and bulldogs. My psych warfare was to stalk them during their sleep, especially during a night rainstorm, and kick them directly in the cranium. If you kick in the eye, ear, nose or teeth it can cause permanent damage, but I only wanted to establish myself as their dominant. My foot made hard contact about twenty times over the months with the various sleeping alphas, as hard as football punts, but their heads are so hard that it was like kicking a 8" diameter rock. I alternated feet over the weeks waiting for the soreness to go away. I have no toenails left on either of my big toes from this. Then the psychological part comes into play – a hard head kicked sleeping dog awakes instantly and instinctively turns and bites at the foot. There's a split second to kick a second time with the same, or better, the opposite foot, and about one second after your first kick the animal registers pain, the eyes dull, and it withers off yelping in pain with a tucked tail. Now is the time to follow it through the rain for blocks, not letting it lie down, rest or sleep for about thirty minutes. It's easier than you think because every alpha returns to the same spot after a few minutes, so I just lay in wait, as they have done with me, and keep them awake and moving. It's a combination of pain and sleep deprivation, and after a few nights of this, without fail, the alpha will no longer lead the pack in attack. Instead, when it sees me coming, it lowers the head in a cowering gesture and sulks off, followed by the rest. That's the time to be on the alert for attacks from street people, who live like them, and empathize in bands. I know this from hundreds of encounters with the same packs in the past few months in the Amazon where the dogs have turned nasty with a sudden rise in consciousness of the people who now treat the dogs like second, instead of equal, citizens. These are the techniques to beat fallen canine angels. And they worked on people too. These high frequency deterrents called zappers work fairly well and could be easily shipped to Peru. At least it would make an interesting study. When I rented a house on a hilltop at End of The World, Zimbabwe, baboons made increasingly aggressive encroachments toward me and the house. I remember saying to the park ranger, who came and shot the baboons dead: "Once they are no longer afraid of people, they will rip your face off. We must kill them to keep that from happening." A recent study on Montana and Wyoming data indicates that killing wolves leads to increased depredation of farm livestock. One theory proposed is that shooting the alpha breaks the discipline of the pack and leads to more independent wolf breeding pairs. These rogue lone attackers are more likely to predate livestock than an alpha led pack. The researchers did not find a drop in the depredation until >25% of them were destroyed, which corresponds to their population's rate of increase. The idea for a rancher is to avoid killing the alpha unless he can and will take out more than 25% of the population of the wolves. Tonight I went for my usual 5k walk. I plugged in my ear phones and hit my Pandora app and had to decide between my stations. I was in the mood for some rock, so I choose the appropriate station, turned the volume to the right level and set off my journey. About 3/4 of the way through my walk, I was heard a special treat. The studio demo version of the Lynyrd Skynyrd's "Free Bird". Now, I'm sure most, if not all, of you are familiar with that Free Bird. It is, IMHO, one of the 3 greatest rock songs of all time (the other two being Layla and Stairway to Heaven). But I had never heard the studio demo version before. What is unique about this particular song is how different, yet similar, it is to the album version or the live version (I prefer the live version…. "play it pretty for Atlanta"). Free Bird starts out as a ballad, but then, kicks into high gear with the famous 1970s style guitar jam. When the studio demo version kicks into high gear, it starts out with the screaming lead guitar for a few moments…then the lead guitar stops, and all you hear for the next few minutes are the rhythm guitars. Anyone who knows Free Bird know that lead guitar jams long and hard for at least 5 minutes straight. It is an unmistakeable 5 minutes of classic rock guitar licks that anyone with even a passing appreciation of classic rock will know and recognize. But on the demo version, the "jam" portion is mainly rhythm guitars for almost the entire time. What was very interesting to me is that even though there were only rhythm guitars playing for most of the song, in my head, I could not help but hear the lead guitar…even though they were not there. I tried very hard to concentrate on the rhythm guitars and appreciate what I was hearing. Heck, I sorta played in garage band in my teens and I played the rhythm portion of Free Bird many times "back in the day". But no matter how hard I tried, my mind forced me to hear the absent lead guitar. Listening to this demo version of Free Bird got me thinking about the markets and my investing strategies. How many things happen around me that I just assume are there….but really aren't…..whether in my life as a father or as an investment adviser? When I vet money managers to place my clients money with, how much I am superimposing (is that the right word?) what I think I should be hearing/seeing over what is really going on? When are there subtle (or not so subtle) changes that I miss because the meme playing in my head tricks me into hearing/seeing what I expect to be there? I'm going to refocus myself to see if I'm really hearing what I think I'm hearing….or whether there are some missing lead guitar illusions that are clouding my judgement. I pose this question to the group: How might one go about doing that? And to give some context to those that don't know the song, here's the album version of the same song. And I'd be remiss if I didn't include my favorite version of the song (play it pretty for Atlanta). Reality or illusion? I like to study the topic, and learn how to tell the difference or whether there is a difference. One believes something to be real when the 5 senses send signals to the mind and the mind says thus it is real. That is what reality means to most people. What if one's 5 senses were altered? The mind then has no way to tell. Think about virtual reality. Though the current technology is not fully there to truly alter the 5 senses, it demonstrates how the mind determines reality. Actually, the concept of virtual reality itself tells that there is not a real line between reality and illusion. It is all mixed together. Do we live in the world or does the world exist within oneself? I am more inclined to the latter. I like illusions as well. My youngest son is into magic and illusions and does a pretty fun show for kids birthday parties. Even though I know how the illusion works, it is still fascinating and fun. But I'd like to take it a step deeper. I know when I'm being tricked when watching my son or a Penn and Teller show. But what about when I have no idea that I'm being deceived….or even deeper, when I'm the one doing the deceiving, and I'm both the deceiver and the mark (i.e. self deception). I'd like to know how I can clear my head of those times. But…..how do I know what I don't know that I don't know? Excellent post, Scott! Thanks for sharing. Rocky believes that, when speculating (as distinct from investing), more important than seeing one's own ghosts, is seeing everyone else's ghosts. For example, in his early days, Rocky would occasionally find bona fide arbitrages in the options markets. However, the ability to monetize the arbitrages relied on OTHER PEOPLE also seeing the arbitrage and closing it. If you are the only sane man, you will likely go bankrupt long before others realize that you are the only sane man. Or, put another way, when the lunatics are running the asylum, it pays to trade as a lunatic — while remaining mindful that they are indeed lunatics. Now where did Rocky leave his bottle of Clozapine? Thank you for passing along the Constructal Law of Design paper by Adrian Bejan. Bejan's basic premise is that everything in nature is a flow. There are the obvious flows of things like water (rivers, blood) or air (lungs, air distributions systems), etc. In addition, he discusses flows of stress, for example, in the arrangement of the limbs on a tree, or the flow of animate mass, e.g., when a herd of animals runs or school of fish swims. His premise is that living systems are continuously changing and adapting their configuration to maximize the "currents that flow through" them. Even the building of the Egyptian pyramids, he argues, represents the flow of stones from a broad area to a single point (the pyramid). Here "living" systems (both animate and inanimate, such as rivers or pyramids being built) are constantly evolving and changing their configuration. When a system stops reconfiguring its flows, it dies: a dried-out river bead, dead animal, or completed pyramid receives no further maintenance, i.e., there is no more reconfiguration when something is dead. Here is a Q & A on the concept of Constructal Design by a Forbes reporter and Bejan that has things described in less technical terms than his paper. In terms of applying these concepts to trading, it seems to me that the obvious entity that flows is money. One concern that I have, however, in adapting Bejan's ideas to a trading model is that, in the flows that he is describing, there is always a driving force from high to low: gravity pulls water down a landscape, a pressure differential drives air in and out of the lungs, a disturbance or threat forces animals to run in the opposite direction. As a result, all of the flows that he is describing are one-way, or unidirectional. This central to his entire theory, as the opposite behavior is prohibited from the Second Law of Thermodynamics: heat does not move from cold objects to hot on its own, rivers do not flow uphill, air does not come out of the lungs when the diaphragm expands to reduce the pressure in the lungs to draw air in, dropping the broken pieces of a coffee cup on the floor will never result in re-assembled cup, etc. Thus it would seem that a critical element in adapting Bejan's ideas for trading will revolve around describing a driving force for the flow of money. This is really your expertise far more than mine, but let me start the dialog by suggesting that the driving force for money is the perceived potential for money growth (PPMG). 'Perceived Potential' here implies that there is an opportunity to make a profit from an investment, but that the outcome is not necessarily guaranteed (think of Enron and Bernie Madoff). Reconfiguration, also a key tenant to Bejan's ideas, happens with the flow of money from one instrument to the next. If we now draw the analog of a river basin, and that high PPMG is analogous to a low point in the flow of water over a landscape, then it can be seen that money will flow from regions of low potential (elevated areas, mountainsides) to regions of high potential (low areas, valleys). The lower the elevation, the more rapidly money will flow into it. What complicates the analysis is that PPMG is a dynamic quantity. A company can be very profitable at one point in time (Kodak, General Motors, Blackberry), and thus have considerable growth potential, but over time, its growth potential can change. This is analogous to the river basin landscape changing constantly in elevation, and having the flow adjust accordingly. This does happen in nature as well, of course, both slowly (Colorado River/Grand Canyon) or quickly (earthquake/volcano). Such a time-varying landscape would be important to include in a trading model. I think that the above would be a bare minimum to implement the ideas that Bejan is putting forth. I did do a quick search to see if people were using these ideas for trading (in particular) or finance/economics, but I did not find much. This is not a surprise: Bejan's ideas are new and different and thus will take some time to permeate to other areas. This, in itself, is an opportunity to seize the advantage. The risk, is, of course, that the ideas may not have significant utility in trading to upset the state-of-the-art now in place, and thus will not pay off after time spent trying to integrate them. This is the risk of adopting any new technology/idea, I suppose. Anyway, there you have it: my rather disjointed ideas on the matter. I would be interested to see if Bejan's ideas could prove to be of utility for trading. A topsy turvy day. Everything the opposite of what it seems. Bonds start way down as never before and then rise 2 1/2 points and goes down. Gold starts down 10 and goes up 5. SPU starts up 15, goes down 10 and now up 10. What an opportunity to do the wrong thing. In a paper recently published in the journal Interface, researchers from the Massachusetts Institute of Technology, the Draper Laboratory, and the disease-forecasting company Ascel Bio say they've found a way to predict overreaction to outbreaks. QEe (QE euro) seems to be moving forward. So why did gold, which has had some strength over the past month, not budge at the news the way currencies did? QE depends upon a central bank "cartel" all agreeing to do it in unison and or in staggered phases. The cartel allows them to get away with this absurd policy without immediately wrecking the currency as compared to other currencies they don't seem to be devaluing. This means that the future of QE is in fact in jeopardy and will be more limited than otherwise. Look at OPEC post 1974. Like the prisoner's dilemma, the "cartel participant," game would call for a certain, upside price where the first member jumps ship, with a phony justification for their greed trumping the purpose of the cartel. Yes of course. Only in this case instead of restricting the supply, the deal was to expand the supply. In the old days when Kuwait broke from the cartel and cheated it brought oil down more than just by the amount of Kuwait's extra production because once one member of the cartel cheats everyone else is going to. It's the same thing here. Once SNB broke, others will be tempted to as well. This isn't talked about in the press because of the insane and incorrect notion that your currency going up is somehow a bad thing, so the mainstream all think that the Swiss are somehow hurting themselves. But the alt version is that they weren't playing along because their EUR purchases were putting upward pressure on EUR, counter to ECB's strategy. What ECB, US, and Japan would have wanted is for the SNB to devalue along with them. SNB wasn't going to do that. Now, all of QE depends on the big lie that you are not really printing money and not really devaluing the currency. Any time someone says "you're printing money" the response is met with "you just don't understand" followed by a description of the complicated process of QE and how it's not really printing money. But the fallback position for the QE'ers is "look, there's no inflation (no consumer inflation.. it's in assets) and "the currency isn't being devalued". The SNB's peg kept the ECB being able to claim they weren't destroying the currency. The SNB undoing of the peg reveals that the emperor has no clothes and they are, in fact, going to destroy the currency. It may be true that claims were made about the EUR on the basis of the CHF cross. But I find compelling the narrative that Mario called up Thomas Jordan and said "look, unless you're willing to print tens of B of extra SFrs a month, you're not gonna be able to keep up." And Jordan, knowing that technically the SNB could do it but politically internally couldn't, said "you're right" and they dropped the cap. The RSP (equal-weighted) S&P index ETF is well-known. Less known is the RYE (equal-weighted energy sector ETF). It has only existed since about 2006. Equal-weighted ETF's give a larger weighting to smaller-capitalization stocks and, to the extent that individual stocks approach zero, they engage in the Rocky pastime of "scaling down to oblivion". That is, If cap weighted indices "ride the trend," equal-weighted indices sell the winners and add to the losers on each rebalancing. Might anyone have some insights about whether such a practice is inherently superior or inferior over time? And especially for a (distressed) sector index? 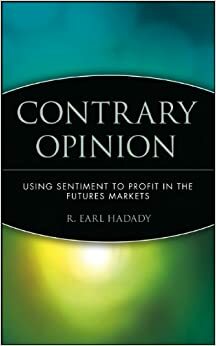 But the academic literature suggest otherwise: "equal-weighting is a contrarian strategy that exploits the "reversal" in stock prices" (see this pic). Except in Australia, equi-weighted outperformed the cap-weighted in major countries. I wrote about this 6-7 years ago when the first Wisdom Tree stuff came out and they were talking about how equal weighted was superior to cap weighted and showed the back-tested numbers. All they were really saying is that "over time small caps beat large caps" which isn't exactly news. To call a equal weighted index and "index" is itself misleading. A cap weighted index is "the market" or some approximation thereof. Theoretically every single market player could go passive and be in it. You can't do that with an equal weighted index (or at least not without distorting prices). As to your idea of how they have to double down on the loses that is somewhat limited by the fact that once the name falls out of the index it is dropped. I know a fund which used to invest 90% of client stake in SPX via SPY. A couple of years ago they switched to 10% equal dollar investment in each of the nine sector select spdr ETFs, with the intent of rebalancing to equal dollar allocation annually. They found, in testing, the strategy provided an average of 200 bps of boost each year over the cap-weighted all-SPY investment. Regarding a depressed sector, is there any truth to the adage: "Buy the stock that has gone down the least, and also the one that has gone down the most". The strong stock will come back smartly and the oversold weak stock will come up from being smashed on a higher percentage then the middle of the pack. So if this is true you could design your own basket of strong stock leaders in the depressed sector mixed with oversold beaten down stocks that pass a screening survival test. Theoretically speaking, re-balancing a portfolio by using the winnings to buy more of the losers is at the heart of the only portfolio selection methodology that I know of that mathematically guarantees to asymptotically outperform the best stock included in the portfolio (See Thomas Cover's Universal Portfolio seminal 1991 paper): pdf link. I don't know if in real life the portfolios resulting from this methodology are inferior or superior over time to those created by rebalancing based on allocating more to the winners (such as a market cap weighted portfolio); I would assume that any result would depend heavily on the rebalancing costs and slippage (the liquidity of big vs small stocks matter, especially when trying to push size), and I would assume that the slippage incurred in a market cap weighted portfolio would be less than that incurred in a equal weight portfolio (less small company shares to buy/sell). In reference to a previous post, another thing to consider is that perhaps there are many effects at play other than the small-cap "more-risk-more-reward" effect. For example, a sell-the-winners-buy-the-losers methodology could be profiting partly by say the volatility harvesting effect described by Claude Shannon. Economists missed the Swiss franc uncapping, the oil price collapse and the interest rate drop. They may burn you on GDP, too. Which mean the average number of contracts by winning traders is 4 times the average number of contracts by losing traders. So, the theorem says the deep pocket traders have a natural advantage to win. It begs the question of how traders with not so deep pocket can survive and win. What are the good strategies? I wonder if this also implies that one may increase the chance of winning by not diversifying funds. "It begs the question of how traders with not so deep pocket can survive and win. What are the good strategies?" Trading can create such an addiction that sometimes addicts do not realize that the world is full of opportunities outside of trading. Good business strategies match our pockets, or our pockets + pockets of family/friends (initially). Trading with a small account frequently makes no economic sense if we consider opportunity costs. It's better to go kitesurfing. The situation with Interactive Brokers is somewhat analogous to Uber vs. the medallion holders, although not necessarily in the speed of execution. 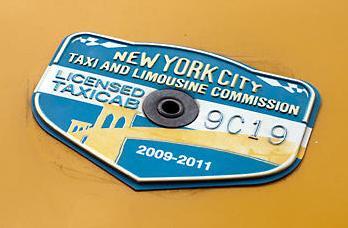 For close to a hundred years or whatever (since 1937 in NYC) some poor shmucks had to buy a medallion to be able to do business. Some saved for years to buy one, others watched the appreciation of their prized property with great satisfaction. Then wham, Uber comes along and the system falls apart. Should there be medallions? Not in a free society. But if they exist, should their value be allowed to be drastically reduced because the collective government action suddenly allowed to a politically connected company what was considered a crime before? Not clear. 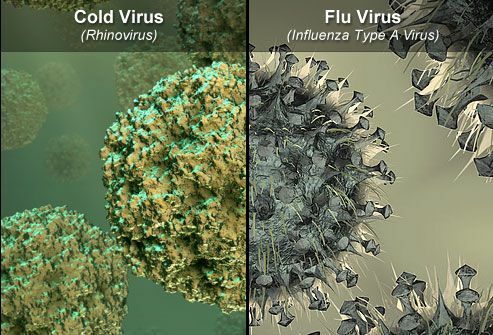 Cold and flu season seems to be taking an unusually severe toll in California this year. Though it's still early in flu season, there are state-wide shortages of cough syrup, and state health officials are beginning to wonder what the consequences may be for the public's health. While the notion of flu season is likely already incorporated into many of the models that we usually discuss, and while for the day-to-day modeling it might not much matter, I wonder if any of the other models of price movements have incorporated any indices of health status such as might be represented by flu cases? At some point, those case levels may impact us economically, leading to some increased gravitational pull bringing prices "closer to the earth." Even if people who are infected go to work, their productivity will be less than usual. Or is the impact sufficiently muted as to be inconsequential? "World’s Largest Traders Use Offshore Supertankers to Store Oil"
This article is a beautiful example of how futures markets coordinate production/consumption/storage of commodities over time– creating the price structure and consequential incentives for entrepreneurial action. "Commercial airplanes satisfy an insatiable need of the human and machine species to move as many people as possible a specified distance while using as little fuel as possible." I make an unapologetic forecast that by Friday, the EU thumb-sucking backscratchers in the markets will realize that Draghi must resign. "Three Card Monte Scam Artists Return to Midtown"
The Swiss National Bank (SNB) in a way played a good game of 3 Card Monty the past few years with market participants. The winning card was where the rate was going to be. On September 6, 2011 the SNB set a peg for the EuroSwiss rate at 1.2 when prevailing market rates where approximately 1.1, a depreciation of the Swiss Franc of about 9%. Between September 6, 2011 and January 15, 2015 the EuroSwiss rate traded between 1.20 and 1.2650, a roughly 5% range. On January 15, 2015 the SNB removed the 1.2 floor and at the extreme the EuroSwiss market rate went close to .8500, a move of about 30%. Who played the game? Who controlled the cards? Who were the shills? I could not help but recall my own adventures in 3 Card Monty and loss of a $50 bill as a student playing Holden Caulfield in Times Square circa 1983. What trading lessons might there be in the move by the SNB and subsequent moves in markets? How can these lessons be embodied to provide a future playbook of offensive and defensive plans? Following some delirium from trading the markets the past few days some clarity came to mind on some runs the past day or two. First, some empathy to all have may lost in the market this past week. One close friend of many years described the feeling just 30 minutes after the SNB decision by saying " I feel like I just got my leg blown off, I can barely think straight". 10 rules, lessons, and examples I have found effective and illustrative. 1. Find and trade markets where your edge is the greatest. 2. Avoid markets were the probability of rule changes and lack of transparency is present. 3. Think of and imagine market scenarios others fail to. 4. Fundamental macroeconomic forces will ultimately prevail. 5. Trading time frames and profit objectives though must coincide with what the market is giving you at any one time. 6. Quantify risk with a multidimensional perspective, not just by one or two measures such as VAR or a price stop. 7. Learn from history. Jay Gould and his attempts to corner the gold markets in the late 1860's. The Russian default of 1917 and 1998. The European Rate Mechanism break up. The Tequila crisis of 1994. The Asian financial crisis. 8. Be deadly serious, as Gichin Funakoshi said "You must be deadly serious in training". If you have a position make it a meaningful size and monitor it carefully. I recall many comments from fellow traders the past few years saying something like "I am long EuroSwiss just to have some on but not really watching it." 9. Define and use a trading methodology that incorporates a process and framework that works for you. Inclusive in this should be a daily routine that includes diet, exercise, family time, etc. 10. Seek out catalysts for CHANGE in markets. Where are the forces, in a Newtonian like law of motion, building up the greatest to cause a CHANGE and movement in markets? What further elaborations and examples might there be? I was thinking about it recently. Great list. I would only add: (a) Be prepared that liquidity in any market can disappear regardless of historical data or experience; (b) Mind counterparty risk. A security guard told police the boy is known around the hospital as a doctor. The guard said he had seen the "doctor" around for about a month, according to the report. Along with MFM Osborne, Holbrook Working was one of the two original seers, innovators, beacons, and founders of the field of speculation, dwarfing the lesser lights after them in all ways. Working was the author of the study Jeff forwarded to us (which has the title "Wheat Studies of the Food Research Institute, Stanford University, 1932"), and when I looked at the first 3 pages, I mentioned to my colleagues, "only Holbrook Working could do good work like that". Sure enough page 55 states "This study has been prepared by Holbrook Working, with the assistance of Adelaide M. Hobe and P. Stanley King". My recollection of the marketing pitches for retail focused FX platforms was that they had some parallels to the bucket shops described by LeFevre, particularly one of them who advertised that one of your account features could be "no margin calls." If a position went against you by a particular threshold, the broker would automatically close it out, so you would have no "surprises." FXCM stock (a listed US company) is indicated down 75% this morning. They issued a statement that the CHF move "generated negative equity balances owed to FXCM of approximately $225 million." As of 9/30/14, their stated equity book value was $262.7 million (source: Bloomberg) — so if their book value is real — then this particular problem can be contained. Interactive Brokers stock is indicated down 10% this morning. They have made no public statements so far. But as we've seen time and again, broker-dealers rely on customer confidence and should a large number of customers start withdrawing collateral, this could spiral. Hence silence isn't golden. A few things about IBKR. First, is is a much more highly capitalized than financial statements at first suggest, as only 15% of the company trades on the exchange, the rest is owned by managers and (mostly, if i recall 75%) by CEO Peterffy. As of the last quarterly report, excess regulatory capital stood at 3.25B. S&P credit rating A- Stable, zero long term debt. Anyone who has traded there is aware that relative to other brokers they are very conservative on margining issues, etc. Also, they don't have the business model of bucketing all of the trades on their FX platform like most retail platforms do. The IB FX ecn mostly allows IB customers to trade with other IB customers and other banks, though they are also a market maker there. In other words it is a much, much stronger business than the crappy retail FX companies. The other issue that is hitting the company recently (hurt their results last quarter and almost certainly this quarter) Is that they keep their equity in a basket of 16 currencies that they call the GLOBAL, so they are getting hit by the strong dollar. I could be wrong I think a currency peg blowing up is the kind of thing their risk department and peterffy would identify as a risk and substantially mitigate, especially if they had retail traders trading in masse against the peg the way the other forex platforms had. This is based on my reading most of Peterffy's writing and conference calls over the last few years, I could be dead wrong. If there is a bad quarter out of this but the damage is not too bad I think it might end up a solid buying opportunity. It was my largest stock holding in tax deferred accounts till yesterday when I dumped most of it. Global Brokers NZ has failed and Alpari U.K. is insolvent. What am I missing? Why should a retail broker go under because a currency moved? Were they trading against their customers as opposed to just executing orders? Here's a very interesting scholarly paper from some wheat counters ~83 years ago. It's a very good read, and appropriate for the time, but government interactions in the grain markets, wars, and international trade have rendered much of this obsolete. Still, it's a good picture of the level of scholarship that was applied to the wheat markets 83 years ago. Much has changed from then to now, but one thing never changes. The best and brightest of any generation will always drill down, and try to find a way to beat a single market. 1. The Swiss franc is up about 17% this morning. This is unprecedented in recent history. That is a BLACK SWAN. A BLACK SWAN is an event that you have not read to be predicted on Zero Hedge or anywhere else. This cannot happen without reverberations — and could be destabilizing — and volatility inducing in unexpected places. 2. 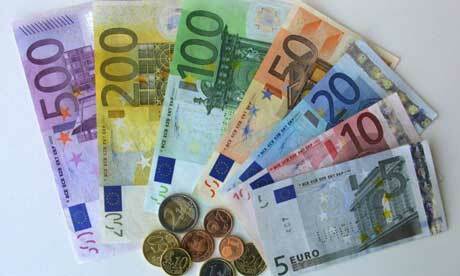 This could be the ultimate no-confidence vote in the Euro currency. 3. It makes Bitcoin's move of 23% yesterday look quaint. The Fundamental Dilemma of all market manipulation, whether legal (as in this case) or illegal: when you stop pushing up the value of an asset, it falls back, giving you mark to market losses on your inventory. Today the SNB is taking tremendous losses on the Euro assets it has accumulated in its Euro buying binge. I would not want to be a private shareholder of the SNB (or a swiss taxpayer) on a day like this. I notice that the Dow is down already and I note that gas is 1.86 this morning overnight from 1.92 here in Southern Ohio. Many empty rentals around my area. Many people, due to oil production in my area, have been been priced out of renting. I have several empty units but have found over the years people don't move over the holidays nor the cold winter months unless evicted or just moving into the area. A complete background check will sort through any of those issues. There is enormous destruction going on of all kinds of daring, innovative oil drillers, the best of the best, which will produce damage that may last many years, as well as many traditional oil, infrastructure, transportation, etc, etc, companies but all people care about is the price of gas. Isn't that selfish? It will be interesting to see the impacts to natural gas supplies as the number of drill rigs in operation decreases. "In fact, the current natural gas rig count remains 80% below its all-time high of 1,606 reached in late summer 2008. In the year-ago period, there were 372 active natural gas rigs." This paper gives an idea of the relationship between drilling new wells and production. Talking to a friend: "If a year ago somebody had said just put everything in zeroes and utilities and then forget about it until January 2015, what would we have thought of that suggestion?" And then I wondered: What is it now that would sound just as stupid? As the days lengthen and the crocuses bloom, as the buzz of spring approaches, one's thoughts turn to the icon of the warmer times of the year: baseball. Over the weekend, I was talking to a neighbor about the coming season, and he commented about the changing styles of ballparks and their effect on the game and how it's played. Consider: Yankee Stadium is often referred to as the House that Ruth Built. I had always understood that to be a reference to the size of the ballpark. When it opened in 1923, Yankee Stadium was 60-70 percent bigger in seating than other ballparks–accommodating the fan interest in the King of Swat. But one could argue that the moniker The House that Ruth Built was as much about the dimensions of the field as about the size of the stands. Yankee Stadium had incredibly shallow depths along the foul lines–under 300 feet. While no one would question Ruth's ability to belt out home runs, the quantity of those hit at home was likely aided by the short distance to the foul pole. Perhaps that's the reason Ruth's (and Gehrig's) power is shown so well in extra base hits. Those aren't helped so much by a shortened outfield. As we were talking, I thought about the different eras in the construction of baseball parks. There was first the innovator era, when the owners built the parks and often named the parks for themselves. Wrigley Field, for instance, named for the owner of the Cubs who play there. Not that Wrigley built the park, he just named it after himself during the late 1920s. Comiskey Park was built and named for the White Sox owner, Ebbetts Field in Brooklyn, Griffith Stadium (Washington Senators), Shibe Park (renamed Connie Mack Stadium) (Philadelphia As), and so on. (Not all were so named, though; Forbes Field in Pittsburgh, for instance, was named for the soldier in the French and Indian War who named the city.) 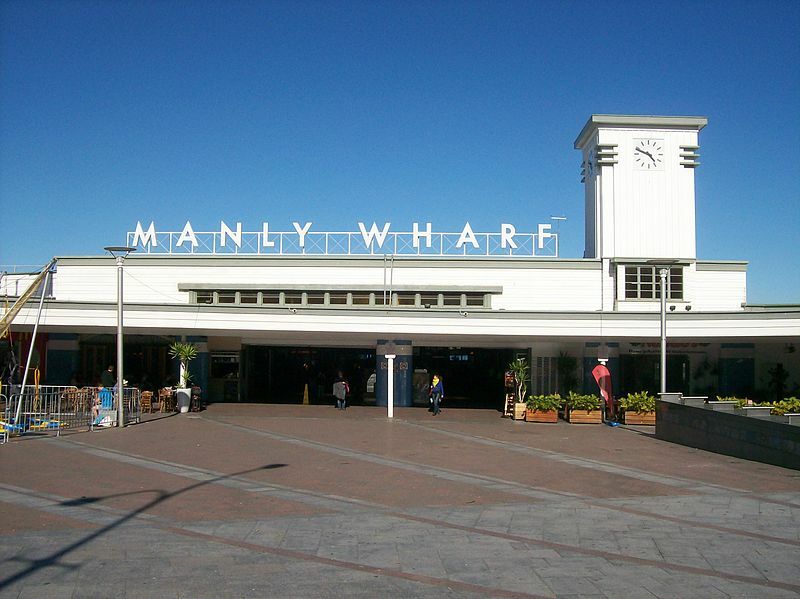 It was in this cohort of ballpark that the "classical" design took hold. It would hold sway until after World War 2, when the next era of ballparks would arrive, typified by Memorial Stadium ("The Old Grey Lady on 33rd Street"or "The World's Largest Outdoor Insane Assylum," take your pick) in Baltimore. (At one time, at 34th and Charles Streets, by the Entrance to Johns Hopkins's Homewood campus, there was a bust of Johns Hopkins on an island in the street. When Memorial Stadium opened, so the story goes, there was such confusion about where the stadium was–many drivers thinking the bust was for some athlete, insisted on turning onto 34th Street, with lots of accidents, as the traffic signals were not set for lots of left turning traffic (many drivers jumping the light)–that the bust was moved to the side of the road. At least that was the story on the Homewood campus, particularly the university's historian during the centennial commemoration of its founding. 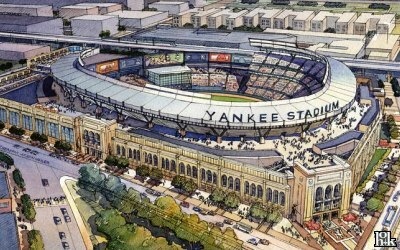 This new cohort of ballparks was designed for mixed use–not as a ballpark for which some other sport might be tolerated. That meant some compromises. 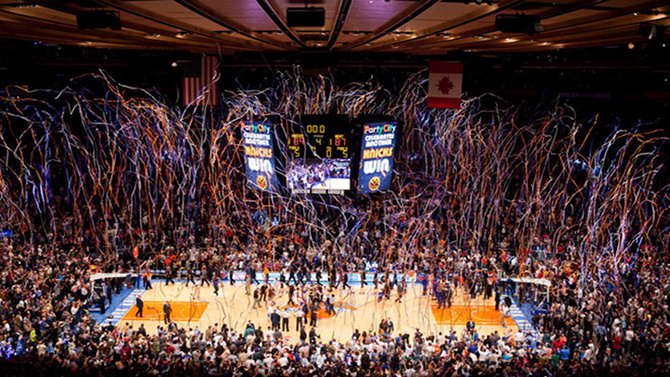 They still abided by the general feel of the first round–the "owners' round"–of parks. Bricks and such, but they also started strut some steel; materials were used to have the ballparks "fit in" with the surrounding community, though how something as big could "fit in" isn't so straightforward. One other interesting feature to this round: Unlike the prior round, in which the teams financed the construction of the park, now municipalities were doing so. Perhaps that was the beginning of the myth that ballparks pay for themselves. At least for the baseball season, with 81 games played, I can see how there might at least be an argument for economic benefit, but for football?? In any case, this round of ballparks lasted into the 1960s. It may not harken the same loyalty that the owners' round would–but when the baby boomers went to the park, it was as often as not one of the newer parks, and so the newer parks were embedded with pleasant memories in their brains, unless of course they were Senators' fans, in which case I can't talk about any association of pleasantry since my recollection of the Senators in that era was of a team more consistent with A-AA ball than the big show. And some days, sandlot might be applicable (except when Frank Howard was hitting well; they didn't look so bad then–even the defense seemingly performed on those days). 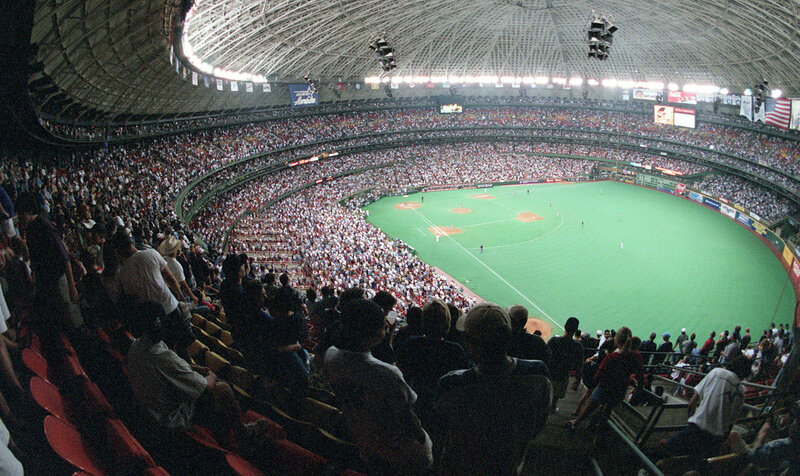 The Astrodome ushered in the "modern" era of ballparks. It was domed–that was new. It had a space age look (befitting its location in Houston)–that was new. It was big–that was new (well, it was in Texas). No longer would the fans enjoy the proximity to the field of the earlier eras. Houston being a major petrochemical center, it's not surprising that the Astrodome also ushered in Astroturf, a plastic pseudograss that bears as much similarity to its living counterpart as an aluminum Christmas tree does to the living (or at least formerly living) one (or if you prefer, ox to bull, or McDonald's shake to those available at many of the remaining diners still operating in the US). I'll leave aside the issue of whether real baseball can be played on pseudograss–a field lacking the sweet scent of mowed green blades, all in support of that most pristine shape in sports, the baseball diamond–or has to be played on the real thing to qualify as "real" baseball. There are also variations on this theme–for instance, no dome, or a retrievable cover. Perhaps the peak of the third age can be found in the Hubert H. Humphrey Metrodome, know affectionately in the Twin Cities, prior to its demise, as the West Bank Marshmallow. It may remain as the only site in which an MLB game was snowed out by a 15 inch blizzard on May 15, 1986–without a snowflake ever touching the field. The Metrodome was a hitter's paradise. Four baggers would go flying out faster than an F-18 off a carrier. Maybe that's why Kirby Puckett liked playing for the Twins so much. Regardless, while there are many who probably liked the Metrodome, it always struck me as sterile. Indeed, that's my complaint about the third age: the ballparks lacked character, identity. There was one thing I liked about the Metrodome, though: it was right by downtown. That was not a universal characteristic. It wasn't a feature of ballparks until the fourth era, the one we are still in. In the fourth era, ballparks went back to the early 1900s to take their style cues. Sure, modern engineering enhanced the experience, with unobstructed views. And there were the skyboxes, rights to which flowed to the team's bottom line. But with the style going back to the classic one of the early 20th century, one might term it retro. Fans like the effect. Ballparks built over the past two decades have been designed in the retro style. Bricks, old style grillwork, often located near downtowns, and so on. Character was not absent in these places. 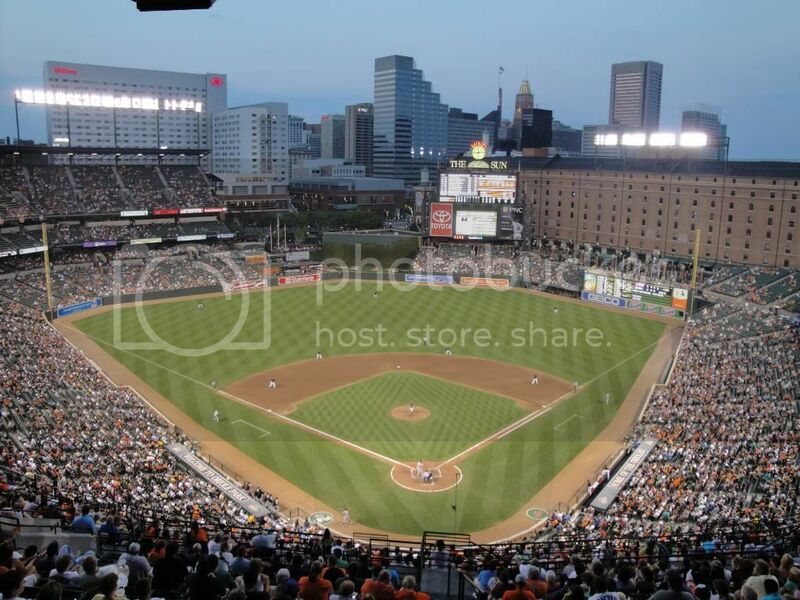 The trend started with the building of Oriole Park at Camden Yards. Oriole Park was part of a grander scheme to revitalize Baltimore's downtown. First, there was Harborplace, then the Aquarium (site of Willy Don's battle with the sea lions in 1981). And then, nothing. There were a few apartment houses built, a convention center, but not much else. Downtown Baltimore still felt incomplete. One of the nicest ballparks built with the retro theme is AT&T Park, the replacement for Candlestick Part in San Francisco. AT&T was built in part because not only was Candlestick not economically competitive in terms of skyboxes and the like but it was arguably the worst located park in the MLB. The winds off of San Francisco Bay would howl in the summer, so much that Fisherman's Wharf and the Presidio seemed warm even during the summer. Had the park been built a mere 75 or so yards to the west, the winds would have been less of an issue. Ditto for orientation. The fog that enveloped Candlestick during night games was legendary–not only for the associated temperature drops, but also the challenges it presented to the player, particularly in the outfield. One of the Alou brothers once noted that at Candlestick, you could see the pitcher throw the ball, you could see the batter hit the ball, but from then until the ball came down, the fielder had to rely on instinct–you just couldn't see the ball all the way through the air. This was the place, after all, where Stu Miller (he died a little over a week ago) was called for a balk during the 1961 All Star game played at the spanking new Candlestick Park. Miller always contended he hadn't balked. No matter, that's how it was scored Of course, many of the pre-retro parks are beloved by the fans. Dodger Stadium at Chavez Ravine is a great example. Woe to the visiting team fan at Dodger Stadium. Watching Koufax pitch at home was a delight, but the fans like the ambiance of the ball park itself. There are 37 more days before Orioles pitchers and catchers report. While the move yesterday of down 6 seems quite minor, the range from high to low was 50 points, and the sum of the absolute values of the 10 minute changes was 165. There was considerable opportunity to make or lose a fortune. I would propose that the ratio of absolute values to algebraic change might be a good indicator or how much money the reversalists made relative t o the trend followers, and it might be that there are some interesting predictive regularities in the ratio for the next days algebraic change, and the profitability of reversing or some such. You may read a guidebook, or just as well judge a people in a new land by their dogs. In rainforest Iquitos, five years ago, all the dogs were friendly, and so were all of the 700,000 citizens I encountered during multiple visits from 1999 through five years ago, 2010. As the new decade swung in computers arrived, and provided a model for thought that was non-existent 'PC'. Affluence followed the ability to think starting about four years ago, in 2011, and now the dogs, people and their wallets are fat. I was never once barked at nor accosted in the pre-computer era, but tomorrow I return to the US as if from a war. My legs are riddled with dog bites from virtually daily attacks for seven months, and the human assaults have been bi-weekly. Why not go to the police, you ask? Before 2010, there were effectively no police in Iquitos except for a handful of pretty señoritas in white uniforms who stood like marble statues in the plazas. Now there are thousands of police on motorcycles, in the first cars to arrive in the city, and walking the beats. The police step in when someone asks, and the case is decided on the street according to which arguer bribes the highest. Law enforcement is an auction, and because I am wealthier than most it has saved many hard times and my passport once. However, a dozen other times the police have stood chuckling while snapping dogs ringed me, without stepping in because the sport is greater pleasure. The children offer to kill them, and the going rate is $2 for a small dog or $4 for a large one. I have only put a bounty on two dogs: a rotten Rottweiler and a nasty large golden lab that attack me daily. The canines' method is to ring and wait for an opening, or to lay in wait and bite from behind. If one stands up to one or a band of two or four legged attackers, they wilt. However, this has left my one set of clothes (on a rainforest island of small, strong people like the dwarves in the Hobbit and nothing fits my American frame) in tatters after multiple repairs, and the socks have lost their toes, and the shoes are a laugh. The faculty to think and an ability to buy nice things came too fast for the Peruvians. Nearly overnight, they became as cartoonish as a Bugs Bunny film, as indulgent as Golding's Lord of the Flies, and their seemingly rabid bands of dogs are the leading indicator. However, there are still dogs that follow me like the Pied Piper for kibble I let drop from a hole in my knapsack, two señoritas have named their newborns after me, and I didn't even sleep with them, and kids dangle 5' rattlesnakes from 12' cane poles they have used to kill the serpents to keep my path safe. I was shocked to read that the default choice for premium pension savers in Sweden (not sure what a premium saver is) who are under 55 is a 1.5X levered global equity fund. My thought is that for an individual actor such a move might make sense, but I question if the market is giving enough to allow massive numbers of people to profit from such a technique at the same time - without in some way shaking most out with a disastrous IRR. It might be a sign that people are over-reliant on market returns to provide for their future relative to increasing savings rate and similar conservative measures. The same is true of the very popular "all weather" strategies that appear to get most of their juice by leveraging fixed income– which was shown in Roy's paper to the the source of over half of CTA profits as well. How can the market allow for great multitudes of people in "leveraged" products to simultaneously get above average returns over the long run do to a simple factor, leverage. Based on the following article it appears that the managers are looking for tactical timing techniques to help them escape "popping bubbles". The rise and fall of the mortgage servicing tycoon might contain lessons. In every interview or article I read about him, I felt in not-so-subtle ways he was poking at the flexions– celebrating his triumph in the highly flexion-centric industry in a way certain to create animosity. For example, his public gloating about his firms 90% tax savings vs. the competition. "The New Subprime Bet: How Bill Erbey Built A $2.8 Billion Fortune By Getting Inside Homeowners' Heads"
he moved his principal office from Atlanta to St. Croix, in the U.S. Virgin Islands, which happen to be an economic development zone. As a result Ocwen now saves 90% on its corporate income tax. It's also the reason Erbey is now worth $2.8 billion and may be the most innovative man in the mortgage business. In the meantime, as he avoids the sun in St. Croix, Erbey relishes the attention his financial empire has gotten on Wall Street and on Main Street thanks to his "socially responsible" mortgage innovations. But he makes no pretense: "I am in the business of making money, but I try to do it in a way that I can go home and say that people benefited from what I did today." Even better when his new home saves his shareholders millions in U.S. taxes and happens to be a stone's throw from a Caribbean beach. People laughed at us for the first 15 or 20 years. Today it's something that has been adopted by the industry. I wonder what observations might have been made to predict the unraveling. On the other side I received quite a few emails and read quite a few articles suggesting his stocks (ASPS, OCN, both down 30% today, ASPS down from 150+ to 17 in last year) were great values mid-2014, and that the pending legal issues and lawsuits would all blow over. One thing that changes over time, and has changed a lot since 2009, is the translation of a given % move into S&P points. So many equity holders think in terms of % moves, but in futures land the value of that move in points is now +20, and the margin requirements have changed, too. One is reminded of that on a day like yesterday, where we traversed almost 50 points. A. their productivity is going down. B. They are consuming more than they are producing. Therefore, C. they are ultimately inflationary. The store of wealth of the boomers, however, does slow down the Velocity of money. Hence the money created now, is not causing inflation due to the "higher savings" rate or in many cases "lower leverage rate" of both private and companies. But to perhaps ask for a further explanation: People do "consume" despite deflation, but they stop storing value in assets that are deflating, i.e. houses and real estate in general. Instead they store value in cash and short term liquid holdings…. hence slowing the velocity of money and further causing a deflationary spiral. While stopping building houses nobody really needed would free up resources to more productive uses, it also was the most common way to leverage, again both privately and for financial companies, and hence a massive slowdown of money turns from hand to hand. I'm waiting for our specs to give me examples from any field of things as exciting as the S&P last week and these racket things from table tennis or this. Lake Placid - Olympics final, Team USA vs. Soviet Union. How about the gladiator contests of ancient Rome? Fed would be the patron with the thumb. Up/down. One of the exciting things about tennis (and similar racquet games) is a function of the game's structure: No matter what the score is in a tennis match, the player on the verge of losing can come back and win the match. Contrast this with a game like American football, where there is a clock, but also where a team far behind in the score can take big risks (long passes, onside kicks, trick plays) to try to get back in the game. The natural question for a trader: Does the market have a game structure, say, during the course of a single trading day/week/month, that constrains the possible outcomes or the nature of risk-taking? For example, once the relationship of equities vs bonds (or USD vs the €Mark or crude vs whatever) gets to a certain point, does the game require that a rebalancing occur? America's Cup, 2013 with the U.S. having to win last 8 in a row to win 9-8. I've worked at both Devon and Kerr-Mcgee and had many friends at Chesapeake. To preface this post, I have never been a fan of "management guru" books and find them to mostly be trash with little insight. That being said, an excellent book could be written about the resurgence of Oklahoma City and the contrasting fortunes of Kerr-McGee, Devon, and the one-time high-flying Chesapeake Energy over the years and the differing management styles at each company. Perhaps I should write it. However with the protagonist of this post now working for one of the antagonists the final chapter cannot yet be written. If you don't want to read a few thousand words and just want the punchline it is this: Management and management culture matters, and Devon's former CFO Jeff Agosta is one of the main reasons for Devon's success whereas Kerr-McGee has disappeared and Chesapeake goes through recurring crises. Interestingly enough, Jeff is no longer at Devon and now works for former Chesapeake founder Aubrey McClendon's new company, American Energy Partners. I will write more on that later on in this post. The story for me begins in the mid to late 1990's when I was working for my father's money management firm. Chesapeake (CHK) was a high flying driller based on horizontal drilling in the Austin Chalk. Wall Street was heavily promoting CHK and it was one of the biggest "momentum plays" on the street. My father didn't believe it. Frankly, anyone with experience in the austin chalk knew that the decline curves were massive. This time it was supposed to be different because of CHK's horizontal drilling. Horizontal drilling, however, wasn't going to change the nature of the austin chalk as a play, it was just going to make the initial production bigger. The problem however was that these were new wells and there wasn't much history. At the time getting well data was a pain. We had to subscribe to a Petroleum Institute service for around 10,000 dollars per year that sent us CD's with county well data from Louisiana which was months out of date. Sure enough, the decline curves were massive. We talked to wall street analysts, and of course they didn't care. CHK was everyone's favorite. The first sign that Kerr-McGee had issues was that I didn't really have anything to do all day. By and large I was done with my job by 10am. In addition to my day job I was given a project to research the possibility of issuing euro-denominated bonds in Europe. The project didn't take long. Other than that I had a lot of spare time. Someone in IT at the main office in Oklahoma City seemed to have the sole job of tracking my web surfing and blocking every site that wasn't work or finance related. The Swiss like to take long lunches and usually have a few beers at lunch as well. A directive had come down from HQ that nobody was allowed to drink at lunch but my boss told us to do what I wanted as long as he didn't see it. So, sometimes we would take 90 minute lunches by the seaside and have a couple of beers, but that still left the entire afternoon with little to do. I had brought a lot of textbooks with me to Zurich to study finance and economics but I burned through those pretty quickly. If I could do it all over again I would have spent the time learning German, although it was also when I first started to really study body language as I could not communicate verbally. It is really the subject of another post but from my time in Panama, Switzerland, Italy, Albania, Poland, etc. I have become somewhat of an expert in reading body language. Body language doesn't lie. People do. I now like to sit in restaurants and watch body language. It is fun to spot which woman doesn't like her date and just wants to get out of there as quickly as possible even vs. which guy is going to get lucky that night. I'm also good now at knowing when I am being lied to - although I have had a few spectacular failures in that regard. Back to Zurich: So I started spending my spare time looking for a permanent job. Simply searching "energy companies in Oklahoma City" got by my IT censors and I quickly gathered up the names of all the big energies companies and their officers. By googling around the domain names you can always come up with the structure of corporate email addresses (i.e. firstname.lastname or whatever) because some employee somewhere has always used his or her work address to post on a random message board. Hello, my name is Gordon Haave. I am currently working for Kerr-McGee in Zurich in the corporate Treasury department. Previously I have served as Vice-President of a $300 million money management firm and as the CFO of a $20 million residential construction firm. I am returning to Oklahoma City in August and am looking for a full time job if you have any available." Jeff responded basically with a "yes we are looking for someone, come and see me when you get back to Oklahoma". That's how I ended up working for Devon. My primary job was ensuring the accurate cash forecast of Kerr-McGee's North Sea oil and gas operations, and to ensure that cash balances were kept at a minimum so that they could be invested in time deposits. In the morning I had to make sure time deposits were properly received that were due that day, and in the afternoon all cash had to be swept up into new time deposits. These were often overnight or just 2-3 day investments. Of course a Treasury department needs to be able to forecast cash, but down to the penny? There were times where somewhere along the way the info would be recalled because someone let out an anticipated $500 expenditure. What difference did it make if $500 was invested one day or two days? I once said something to my boss about it and his response was "you are lucky, when I first started here they were doing this by carbon paper and fedexed around. We only changed to spreadsheet because they couldn't buy the carbon paper anymore". Also, at the time, Kerr-McGee was spending literally millions of dollars per year on outside consultants whose job it was to change the corporate culture. One of these consultants spent a week or so in Zurich and I went out to eat and have a few drinks with him a few times. I'll spare you the details of the horror stories but his conclusion was pretty straight-forward: "It's utterly hopeless." I don't want to name names but I remarked to him once that a certain person in our division seemed to be the real brains of the operation, yet he was not the head of it and I was wondering why. The answer: "Because X joined the company two weeks later than Y 20 years ago". After Kerr-McGee it was on to Devon in Jeff Agosta's unit. I ran the "cash management" function which included the investment of excess assets as my primary job but I also performed as somewhat of an overflow worker for other corporate finance projects as needed. What was the corporate culture at Devon? Well, it depends on what part of it you worked in. In accounting it was just as bad as as Kerr-McGee. There were massive, bloated staffs of people who did their job the way they did it and simply wanted it to stay that way and didn't want anything to change. That didn't really matter too much except that corporate expenses were higher than they should be and landowners would be pissed off because they got their checks late. More than a few times in social settings when telling someone I worked at Devon the response would be "why can't you send your checks on time?" Corporate finance, however was a lean and mean operating machine. We had less people performing the finance and treasury functions than Kerr-McGee had working on the weekly cash forecast - and we did a good job of it too. This was all under Jeff's leadership and direction. Me: "Jeff, given interest rates and what we can do with extra cash in terms of investments (or lack thereof) and the manpower that we will have to expend in order to get a more detailed forecast it is cheaper to just leave an extra 100 million laying around than expend the effort to harass people so that we can do more detailed forecasts like Kerr-McGee does. Plus, we don't have to harass people who have other things they are working on." A rational and efficient decision was made, without regard to "how things are always done" and taking into account that there is no need to be harassing operating units. I recall one event when a decision was made by an operating unit to bid on some blocks off of Brazil. The email I got was basically "We have to have $40 million dollars in an account in Brazil in three days". The $40 million wasn't a problem - remember we always had more than that just laying around. The problem was opening the account. This is was after 9/11 and the government was imposing all sorts of new Know Your Customer rules on the banks. To open the account Bank of America wanted endless documentation that there was basically know way I could do within 3 days. In the end I just said to our representative at B of A "look, this is Devon energy opening an account for a Devon subsidiary, we have 120+ accounts with you. This account need to be opening tomorrow. I will send you whatever documentation you want later, but this account has to be open tomorrow. If you don't know your customer well enough to open the account then we will have to find someone who does". At some point during or after this event I said to Jeff "Hey, these guys (the operating unit) really have to give us more heads up next time". Jeff's response was "It is fine for you to send them an email asking them to give you a better heads up when they can, but always remember they are the one's who make the money. We work for them, not the other way around". Meanwhile let's get back to Chesapeake. Aubrey McClendon the well liked and flamboyant founder had his own management approach. I can't speak too much to the internal culture as I was not a part of it, but Aubrey was generally highly regarded by his employees. The problem was as follows: He ran the company like it was his own as opposed to running it on behalf of the shareholders. Although it is difficult to quantify this was apparent by the massive amount of money that Chesapeake through around the community in what appeared to me to be one big dose of self-promotion. Chesapeake funding was all over Oklahoma City, and the news articles praising McClendon were legion as he achieved celebrity status. Companies need to distribute money in their communities from time to time for their long run success, but Chesapeake's giving far outstripped anything Devon or Kerr-McGee was doing. I was constantly thinking to myself "I wonder how any of this benefits shareholders"? 2. Let's say the price of natural gas goes down and Chesapeake needed to curtail it's drilling or shut-in some wells. What decision should be made? Well, if McClendon has massive personal interest payments to make on his personal debt, he suddenly has a conflict of interest with the company. McClendon of course denied any conflict of interest, but it is ludicrous to believe that shareholders ever would have approved such a situation had they known about it. One defense perhaps is that the board of directors (who represent the shareholders) knew, but this is the same board of directors that bailed McClendon out of his personal financial problems buy buying his private map collection from him and awarding him a massive bonus while Chesapeake's own fortunes were in decline. To contrast this behavior to what I saw at Devon: One time a senior manager operating out of Houston donated $10,000 to a charity without prior approval. As Jeff relayed to me the manager was told "that is the shareholders money, either get it back or pay it back yourself". "He f****d up on a forecast/reporting issue, plus he alienated virtually everyone who worked under him with his management style, it seems." American Energy Partners is said to be getting ready for an IPO. My advice: figure out who is really calling the shots on the finances. If it is McClendon then take a pass. If it is Agosta then go for it if you otherwise like the company and it's valuation. So what does all this have to do with Petrobras? In the end and after years and years of attempted reform Kerr-McGee called it quits. The stock had basically gone nowhere for 20 years and eventually the chemicals unit was spun off and the Oil & Gas assets sold to Anadarko. The archaic corporate culture just couldn't be overcome. In all companies the allocation of capital is incredibly important. The difference between Energy companies and many other companies is that the economic consequences few key decisions will be apparent in short order. Proctor and Gamble can make bad decisions and the result will just be a slow decline in overall market share over a long period of time - this is not the case with an energy company. 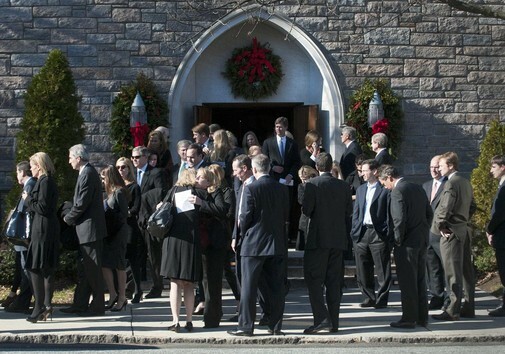 On December 20, 2011, at 9:38am, Jeffrey Buckalew, a successful investment banker and pilot, departed Teterboro, NJ bound for Atlanta in his Socata TBM 700 turboprop along with his wife, their two children, a business associate and the family dog. By 10:05, they were all dead. The airplane's encounter with unforecasted severe icing conditions that were characterized by high ice accretion rates and the pilot's failure to use his command authority to depart the icing conditions in an expeditious manner, which resulted in a loss of airplane control. Happily, I wasn't working that morning, but I worked that sector for 25 years and the controller who was working the aircraft when it went down is a friend of mine. The accident highlights a couple of issues that are highly relevant to trading. First, the threat of complacency which can lead to a failure to recognize that a dangerous situation is developing, and second, the need to take action to correct the situation immediately. We must be vigilant and nimble. This excellent video by AOPA's Air Safety Institute gives a thorough discussion of the accident and its causes. I was particularly keen on the last two minutes or so (transcribed below) and it's insights. In the first paragraph, replace the word aircraft with "systems" and aviation and flying with "trading" and you can see what I mean. Sometimes experience harms more than it helps. Rather than making us more vigilant, it can lead to a sort of comfortable complacency, not only about the dangers we face, but about our own capabilities and those of our aircraft. Complacency is arguably aviation's most common vice, and one of the hard truths about flying is that it's sometimes punished with extraordinary severity. The pilot of N731CA was in the clouds for a total of approximately five minutes. Roughly two minutes passed between his first indication to ATC that icing was a problem and the beginning of the final plunge. It takes time for the human mind to spin up when suddenly confronted with a problem. It takes time to recognize that things have changed and process the idea that an extraordinary response is called for. All during that time, part of the mind is fighting against the new reality, arguing "stay the course". Two minutes isn't much time, but it's enough time. Enough time to make a decision, declare an emergency and reverse the climb. Or, just push the nose over and worry about ATC later. Or at least, that's what we'd like to think. The truth of the matter, which is that two minutes really isn't much time for someone who is surprised, conflicted and almost certainly frightened, is decidedly less comforting. Yes, there is an adage that biggest losses come immediately following biggest gains. It's also possible that big gains may follow big gains. My explanation is that what brought the initial big gains was the increase in volatility. So if either big losses or big gains follow big gains what is one supposed to do after big gains? Theoretically, we should de-leverage and adjust for volatility (I assume our initial position was volatility normalized). Practically, doing nothing and ignore some vol. spike usually does not hurt as much as believed especially for long vol. strategies. Exit/adjustment is therefore different if strategy does well in storms or if it is killed by storms. Some trading storms are good. The notion that the United States has had a two-party system over the last hundred years is largely a fantasy. This may be another successful schoolteacher fairy tale designed to discourage "conservatives" from having any patience with the minority party; it may be simply part of the American notion that the two teams on on the field have an equal chance that is to be determined by "how much they want it". Either way, the fantasy of equal competition does not fit the facts. The Republicans have only won the trophy once in the last hundred years - in 1928. That was the only time where the Republicans continued to control both houses of Congress as a member of their party was re-elected President. The results were these: Republican House margin of majority: 12%, Republican Senate margin of majority (including Vice-President's vote in the event of a tie): 10%. The Democrats, on the other hand, have 4 Super Bowl rings: 1936, 1940, 1944, and 1964. Their first - Roosevelt's 2nd election - was the biggest blowout: Democratic House margin of majority: 30%, Democratic Senate margin of majority (including Vice-President's vote in the event of a tie): 34%. Even in the era of divided government and less than landslide elections, the drift has remained in favor of the Democratic party. 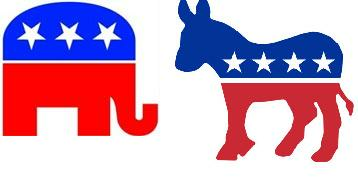 What interests me is the likelihood that the United States may finally have a genuine two-party system. If it does happen, it will be because the Republicans finally become what Grant planned for them to be 140 years ago - the party of the new Constitution that included the 14th Amendment.is may actually change. The Democrats have been the party of Federal executive authority since their founding; whenever possible, they have looked to the White House to order the entire country to do what they wanted - i.e. buy Louisiana, chase slaves, regulate the sale of sick chickens, etc. During my lifetime, the notion that that the States who make up the Union have equal sovereignty suffered the same fate as Grant's reputation as President. It ceased being taught in any law or other type of school, and the presumption of absolute Federal authority became universal. Now, to my delight and surprise, the idea equal sovereignties and rights of citizenship for the States and the Union has revived. People, even judges, have read the 10th Amendment and understand the meaning of its plain language. We shall see. I recently connected a turntable to my professional sound system with equalizers, subwoofers, and running two 1700 watt power amps. I have a collection of several hundred vintage vinyl records from the 60s on. I was amazed anew at how full and involving the analog sound is. You can hear the wood tones in the guitar of George Benson. It makes you feel like lying down and just listening to the music, or dancing. That just doesn't happen with CD's or digital content. The digital sound algorithms leave out some of the feeling and nuance of the sound. Boosting the bass does nothing but cover the lack of content in the other registers. Also, they vinyl has lasted for 50 years with excellent quality. The art on the covers is fascinating. Meanwhile, my cd's have dissolved, the cases broken, and been transferred to hard drive and lacks the same fidelity. High drama in the S&P. Like a Dumas or L'Amour n= novel. Perhaps this explains the movement up in Vix. It's like a boxing match in the final round, or a tennis rally in doubles with all 4 players at net blasting at each other. What other sport situation? A very interesting article reminding us that we can estimate the standard deviation of most of our data as the range/4 or (b-a)/4 where b is the highest and a is the lowest obse ration. This leads to many interesting augmentations. You can quickly calculate the significance of a result by 4u x n to 1/2 /(range). I was led to this result by a very interesting 1980 Box on evolutionary manufacturing operations. I was amazed that the authors were so clear and precise about the statistics, but then I saw that the author was Box and Draper, considered two of the world's leading statisticians. "The Amazing, Possibly True Adventures of Catman Keeley and his Corporate Hoboes: on the road with the former veterinarian, ex raquetball champ, and freight hopping adventurer who shows adventurers how the other half lives"